Preparing for a long road trip? 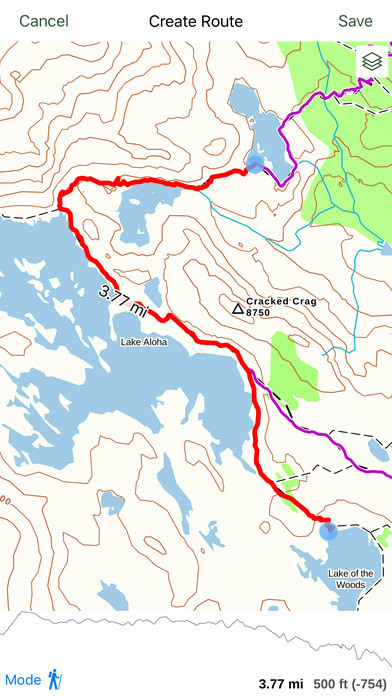 Or going to hike a mountain trail? 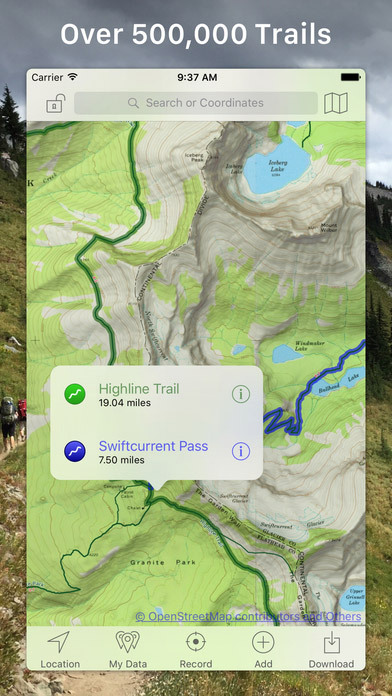 It doesn’t matter whether you’re an absolute beginner or an expert in navigation — the best hiking apps are useful for everyone. 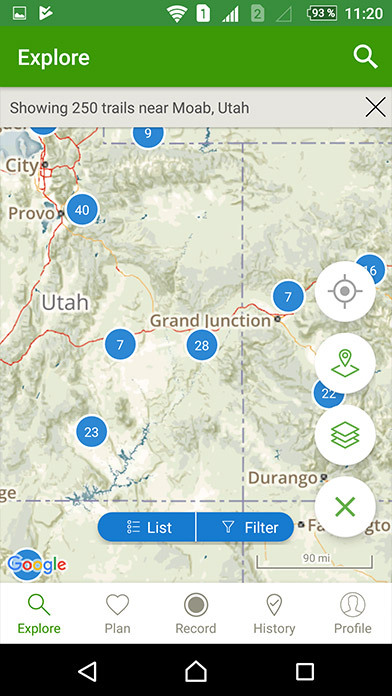 After all, online maps never become outdated; compasses will not fail you; and hike messengers are great for finding new friends and discussing the most challenging or beautiful trails. 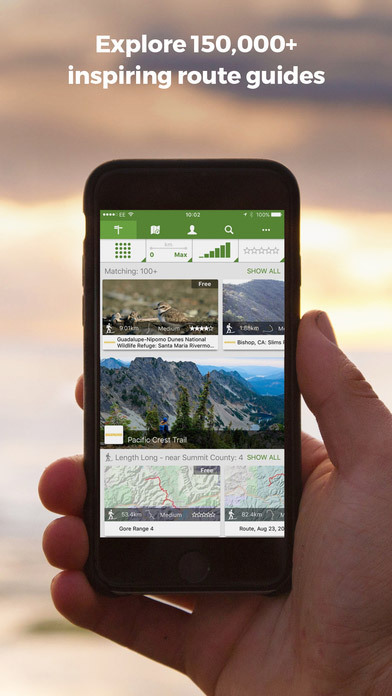 To help you out, Hike&Cycle has gathered the most useful paid and free hiking apps you’ll want to get! 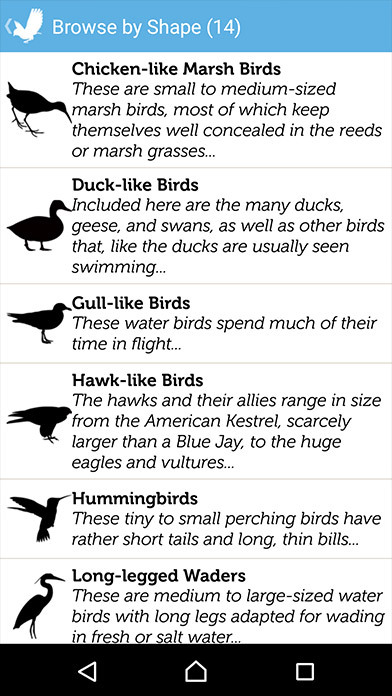 Also, Jarrimber created the infographic that features apps for true nature lovers. 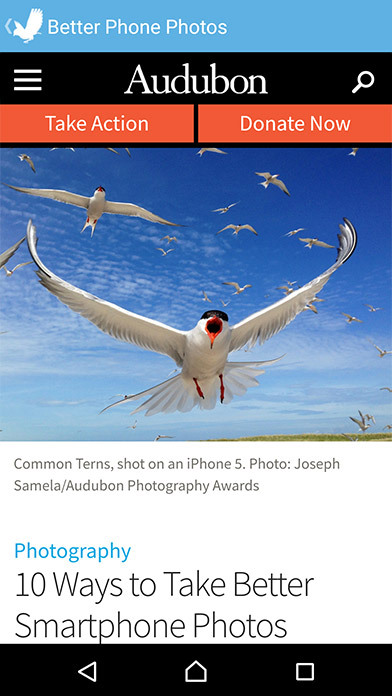 Let’s check out these 8 best nature apps! 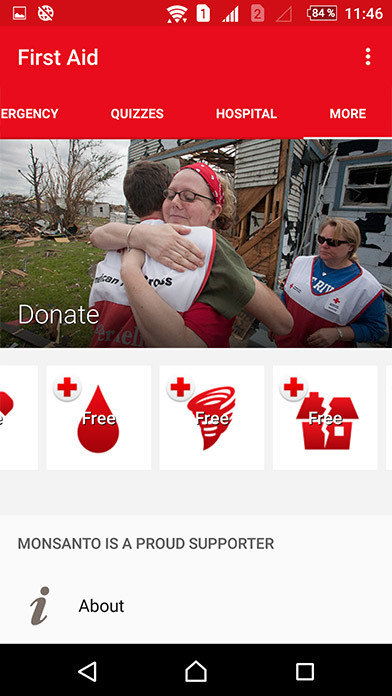 Every app is available on Apple and Android — so no one will be without help. 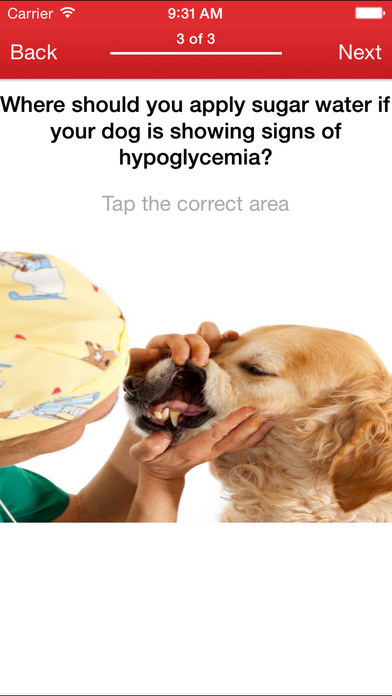 We’ve divided this article into several categories so that you can find the necessary app immediately. Maps are the best partners in any adventure, no matter how far you plan to go. 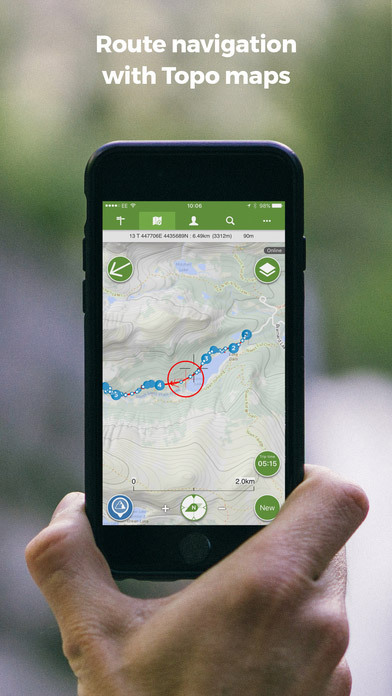 Technology allows you to get trail maps on iPhones and Androids so that you’ll always feel confident about where you’re going. 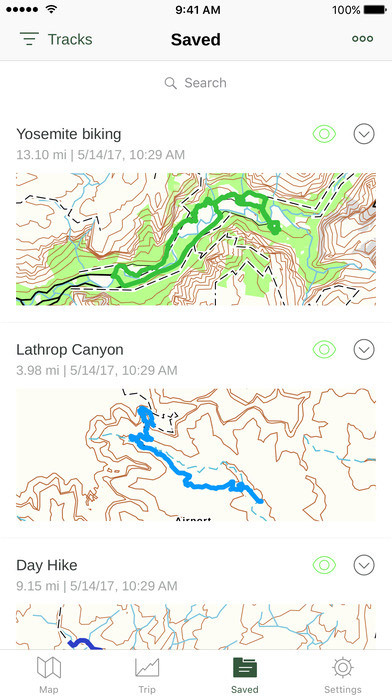 We investigated the most popular GPS tracker apps that adventurers have used this year, and we’ve built a new list of maps you can download. 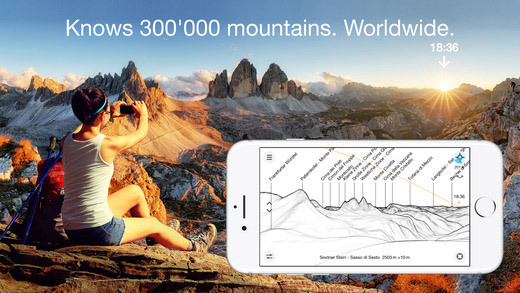 This is a great app for every adventurer. 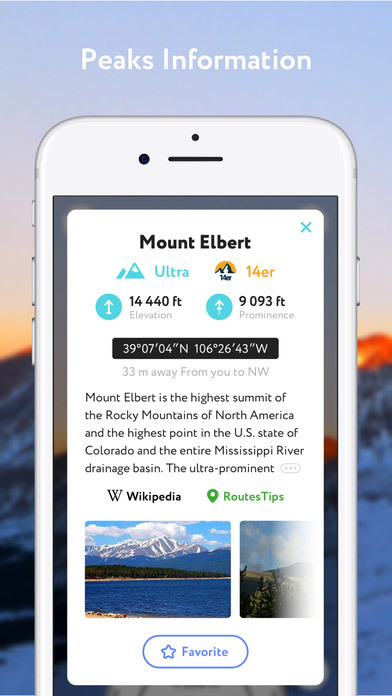 Whether you’re a cyclist, snowboarder, or hiker, this app will satisfy all your needs. 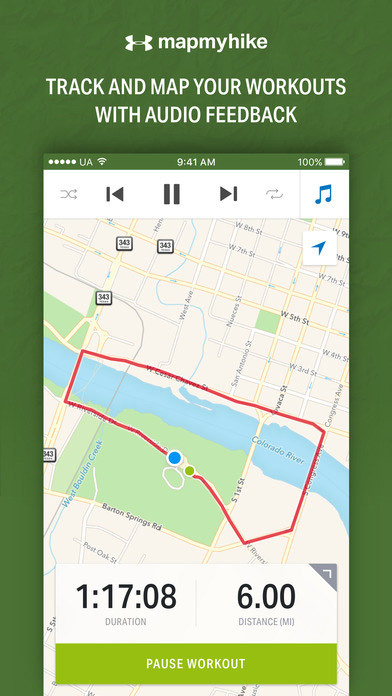 With this GPS map app, you can record trails and refer to them offline. 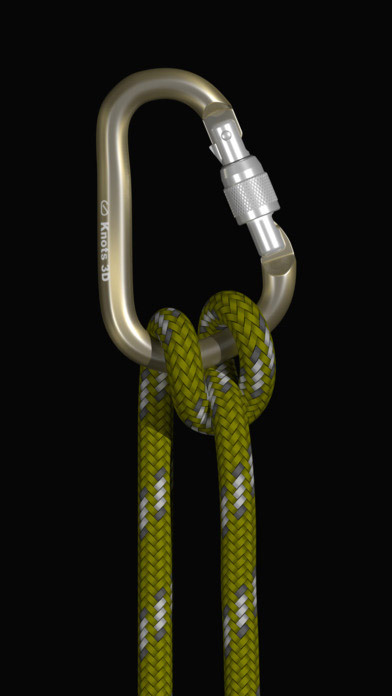 This is a great detail that is necessary for safe outdoor adventures anywhere. 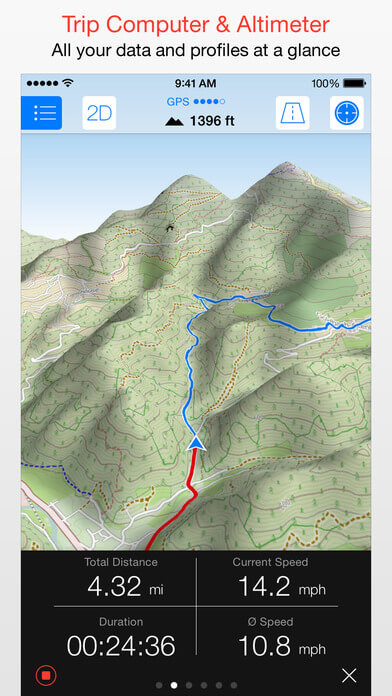 Unique feature: With Maps 3D Pro, you’ll see the surroundings in all three dimensions. 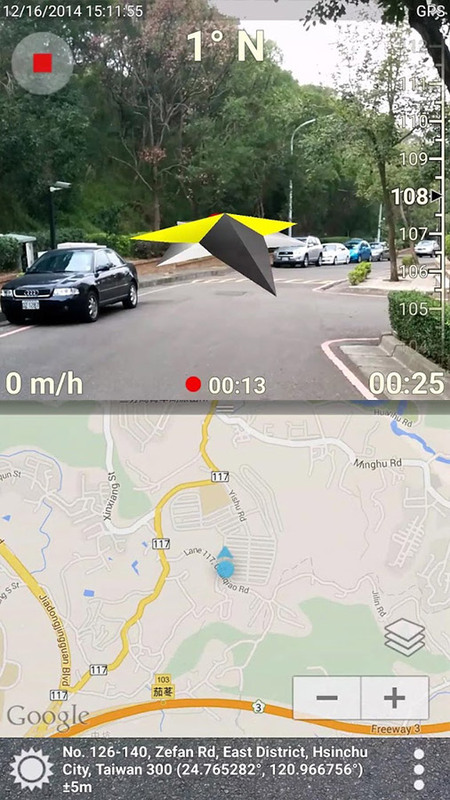 This is an interesting GPS mapping software to travel safely and track your route. The distance you take is displayed on the map, so you’ll never get lost. 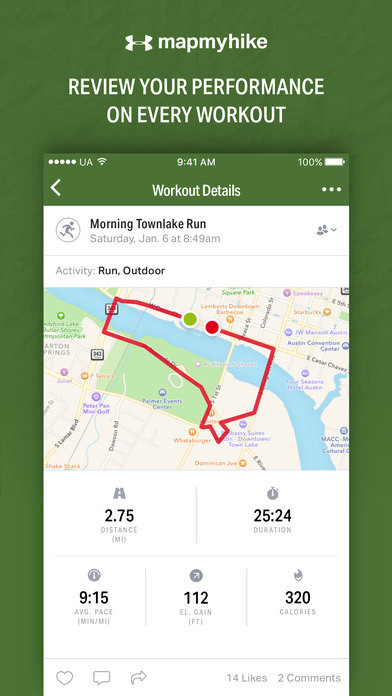 Moreover, you can see the routes your friends have taken, making it the perfect way to stay motivated and have some friendly competition. 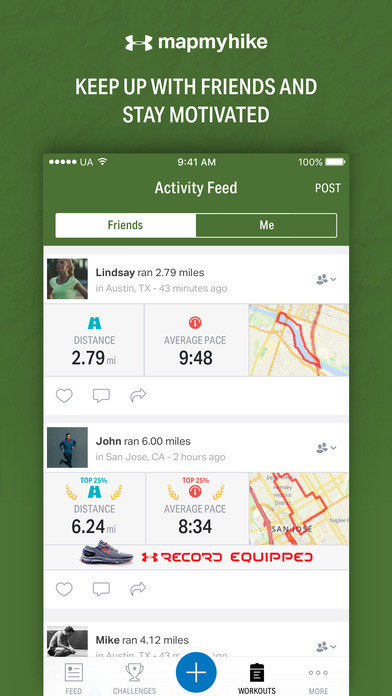 Actually, this hike tracking app is also great at inspiring you — it gives you achievements for various tasks. 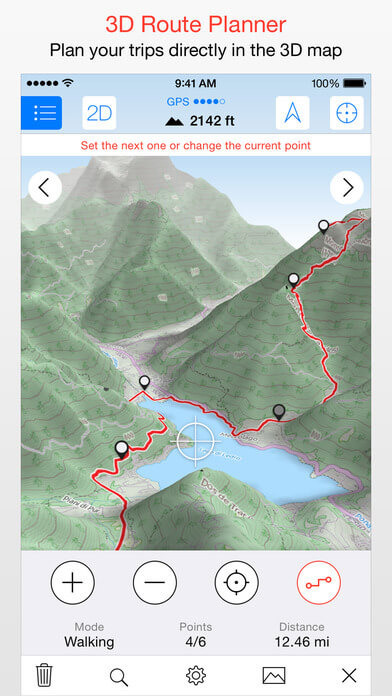 Unique feature: This trail making app has a Routes function to help you find new hiking trails around you. 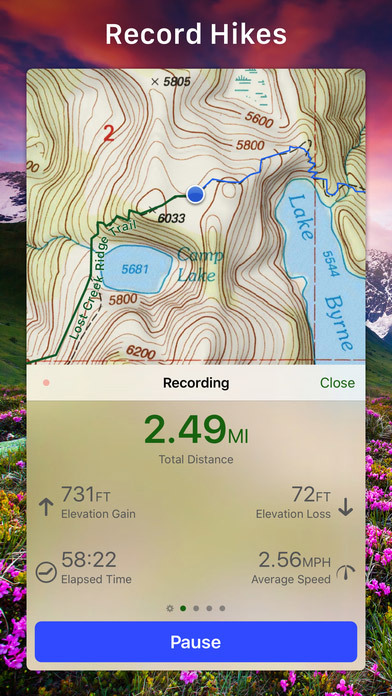 This is a nice variant to track hiking routes on your smartphone or Apple Watch. 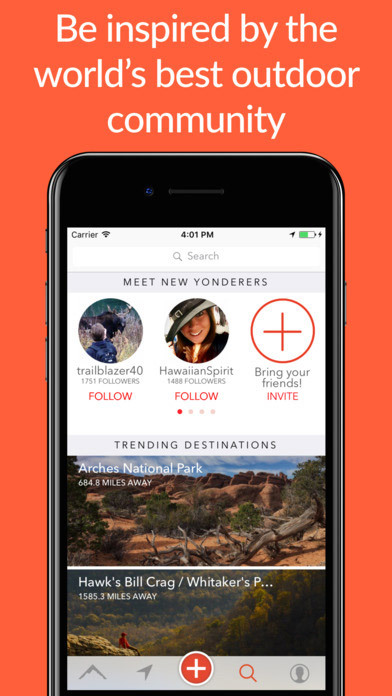 ViewRanger allows users to find their path even offline. 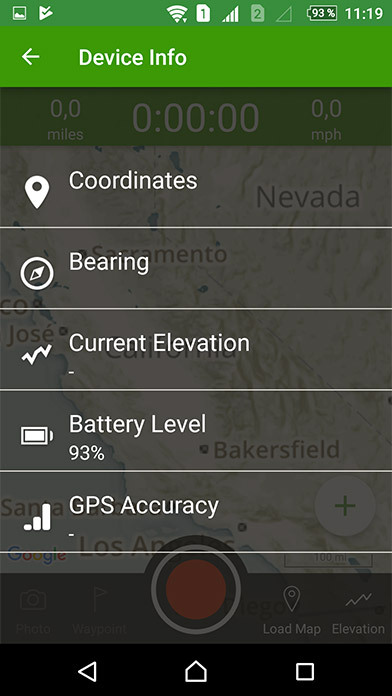 Since you can share your real-time location with your friends or family members, outdoor navigation becomes easy and safe. 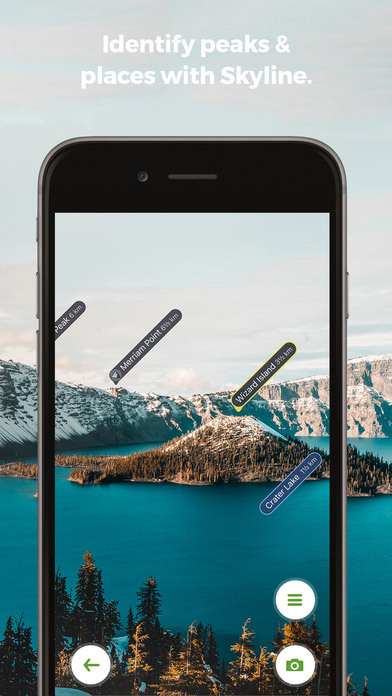 Unique feature: Identify peaks, rivers, and lakes using your smartphone’s camera and the Skyline function. 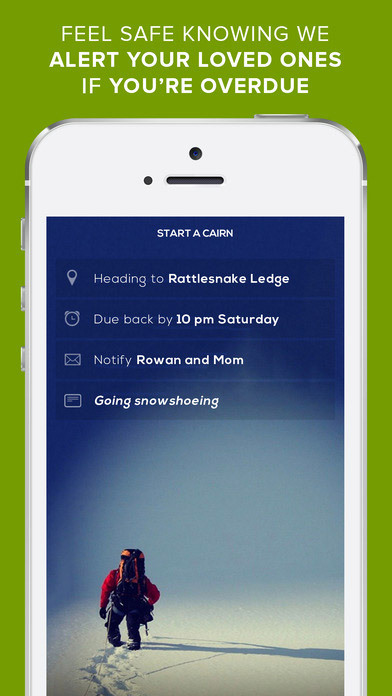 Cairn will save your route and show it offline. You can find the actual distance for thousands of trails in the US and Great Britain. 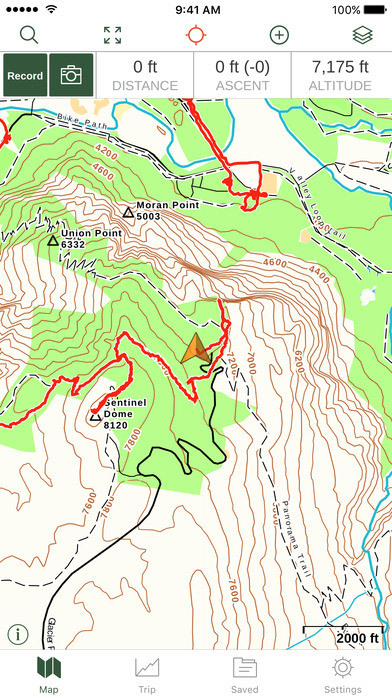 Cairn not only helps you find a hiking trail — it’s also about safety. You establish the expected completion time of your chosen route. If you don’t make it on time, the app informs the contacts you have listed. 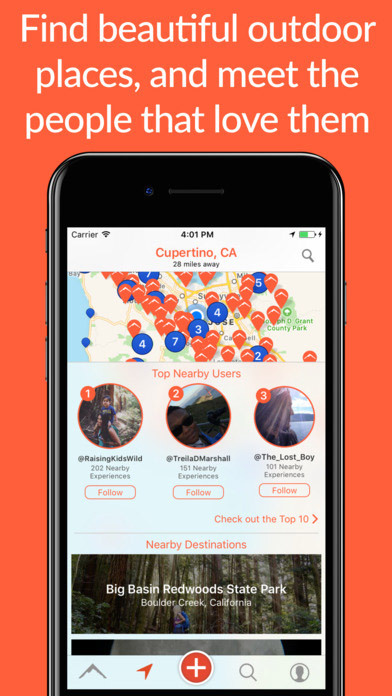 This app also lets your contacts track your location in real time. 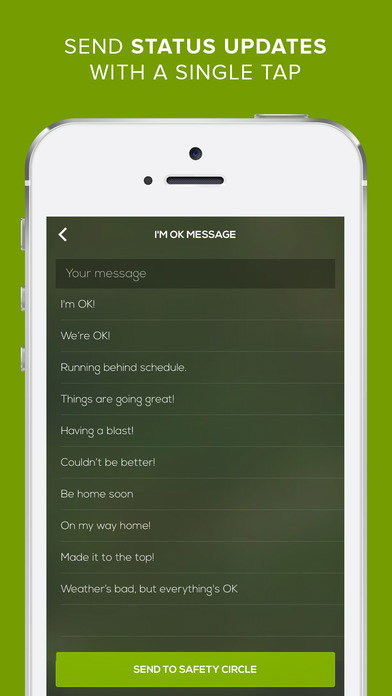 The system of notifications helps you tell loved ones that you’re fine. 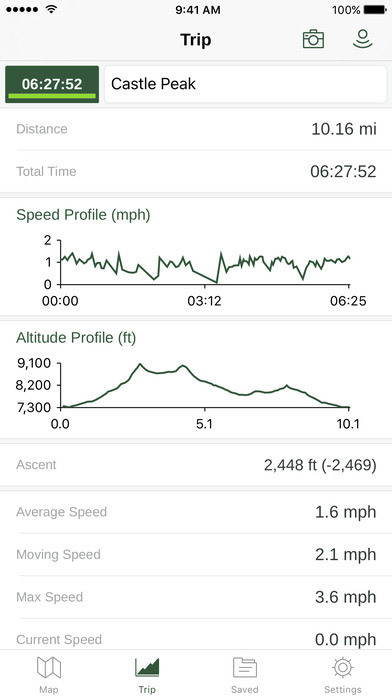 Unique feature: Use this free app to measure the time and distance of your hike without draining the battery. 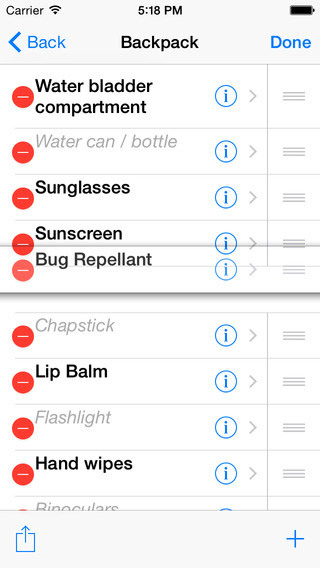 This is especially helpful for long trips. 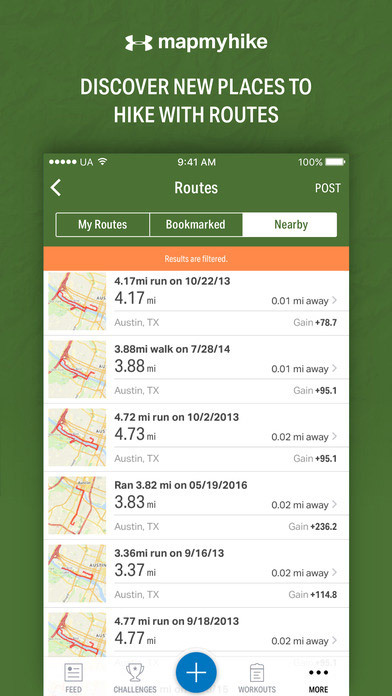 All Trails is one of the best route apps. It’s a great choice for beginners. 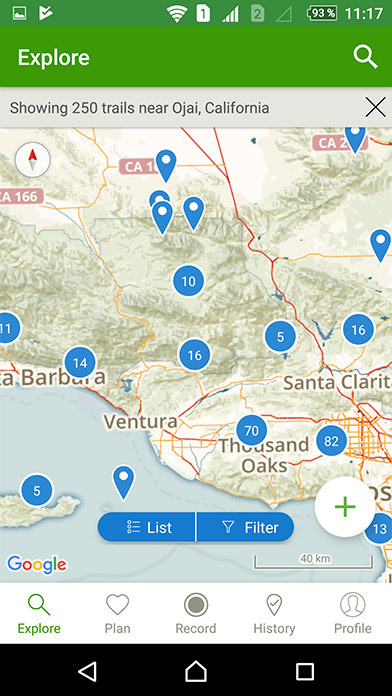 Because it not only shows thousands of trails — actually, the All Trails hiking app has more than 50,000 routes — it also helps you choose one. 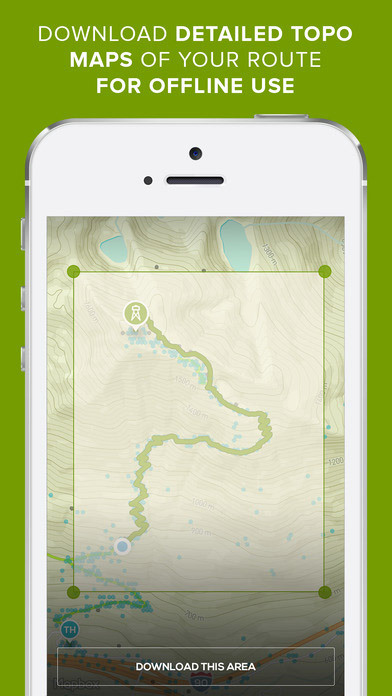 In this mapping app, you can find real hikers’ reviews of mountain, canyon, or wooded trails. The reviews always consist of locations, characteristics, and photos. 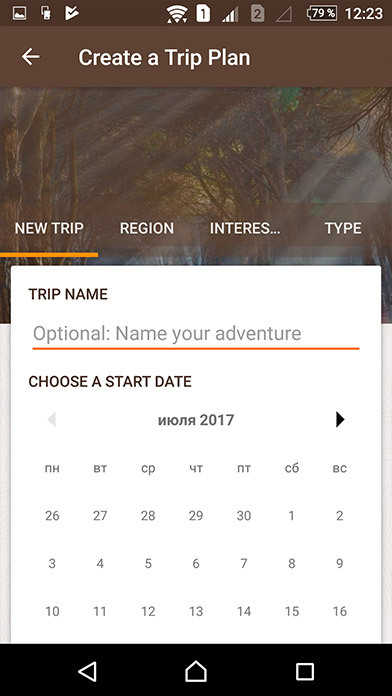 Unique feature: Can’t choose from the 50,000 routes available? It’s no surprise. 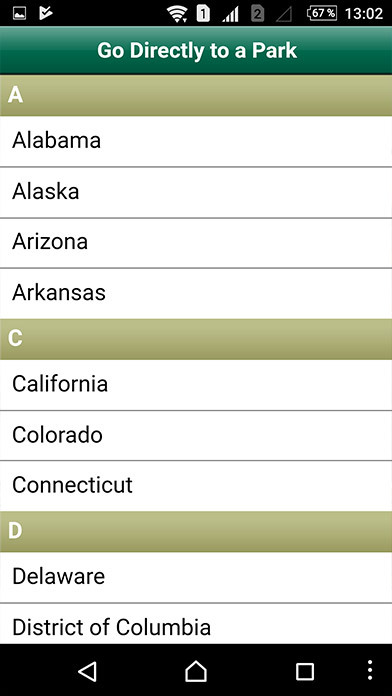 Filter them by difficulty, length, rating, and activity types. She is the Greek goddess often called Mother Nature. 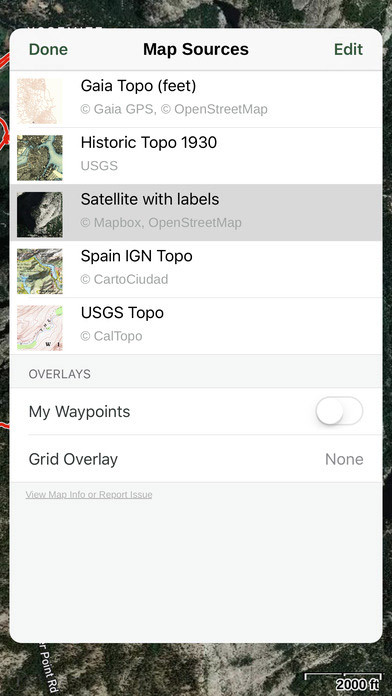 For countries like the USA and Canada, government offline topo maps are available. 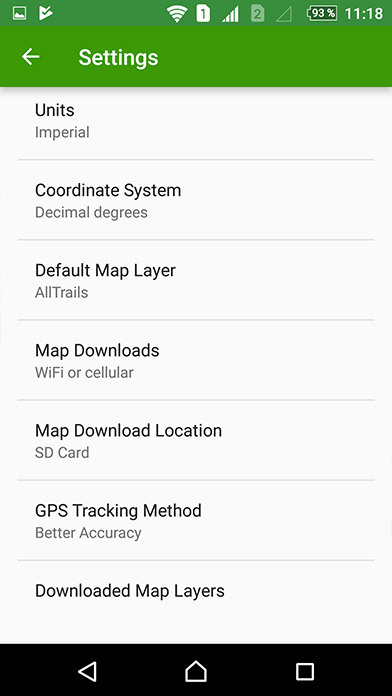 Also, you can synchronize the apps’ maps and routes on all of your devices so you’ll never lose your saved trails and photos. Unique feature: Gaia has worldwide maps, not only for the US and Canada. That means you can take it with you wherever you go! 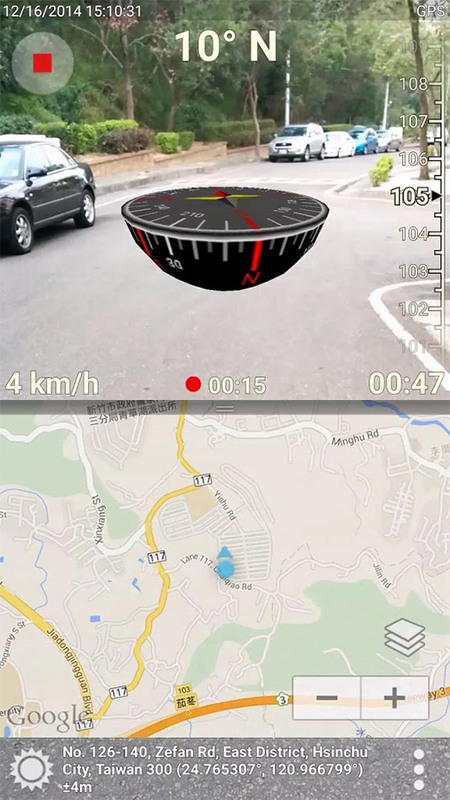 This is another GPS app for iPhone with a wide range of functions. 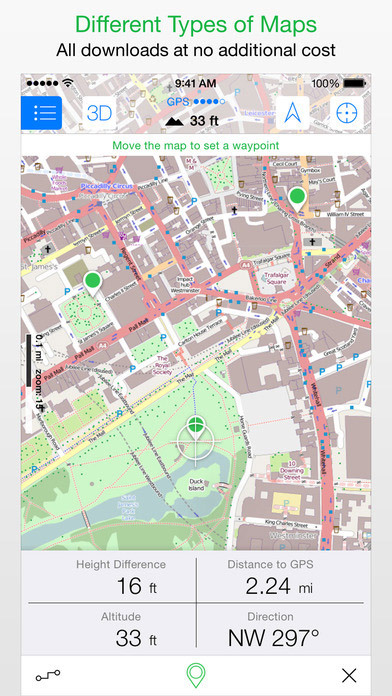 Download the map and use it offline to avoid getting lost. 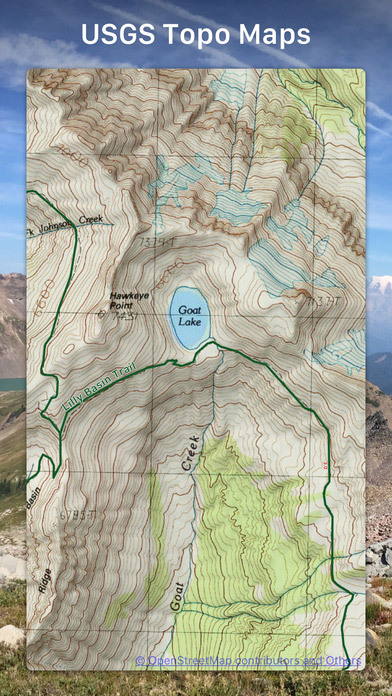 Topo Maps+ is one of the top GPS apps for iPhone due to its updated maps of the US, Canada, and New Zealand. You can also print any of your routes just in case your device dies. 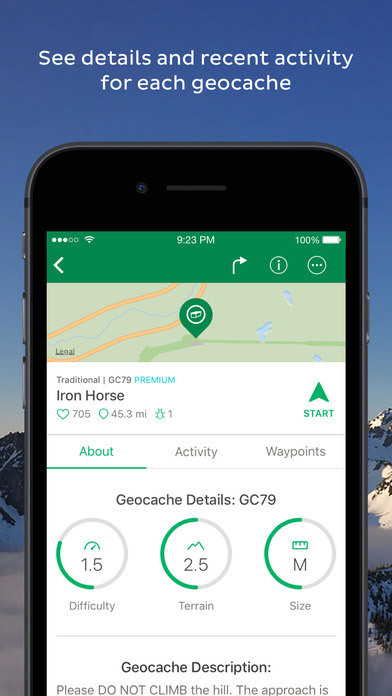 Trekking apps are real treasures for any adventurer. 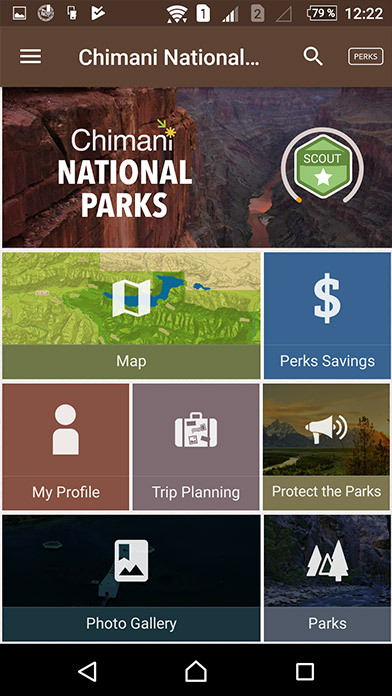 To feel safe during your trip, download at least a couple of outdoor navigation apps. 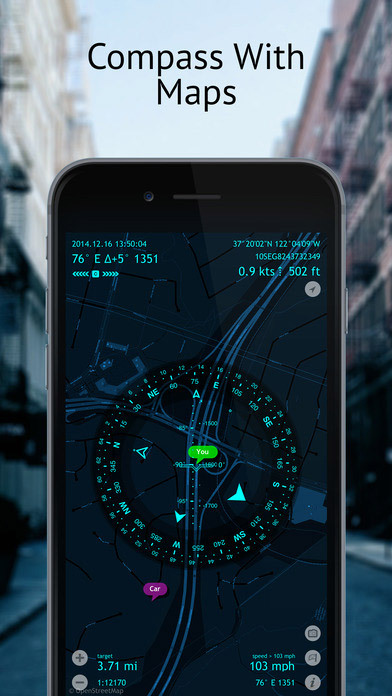 In this section, we want to introduce the best GPS navigation apps for Android and iOS. 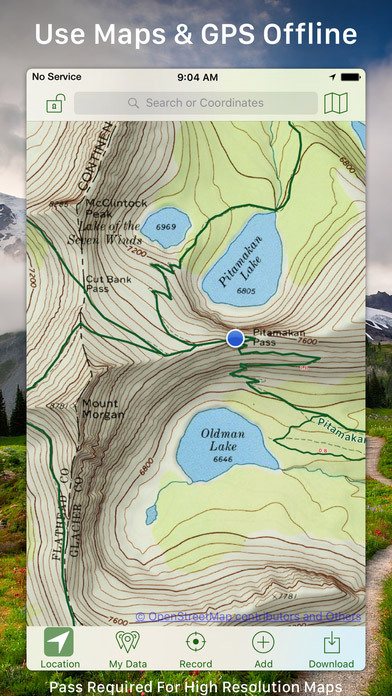 The most fantastic thing about these apps is that you can use GPS without Wi-Fi — leaving you no chance to get lost. 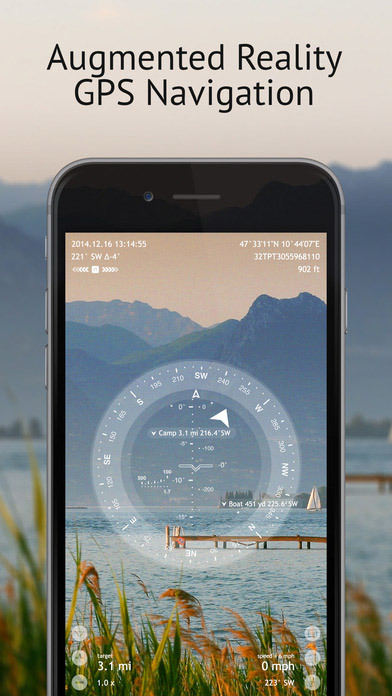 One of the top adventures apps, Spyglass allows you to navigate with the help of a compass and gyrocompass. 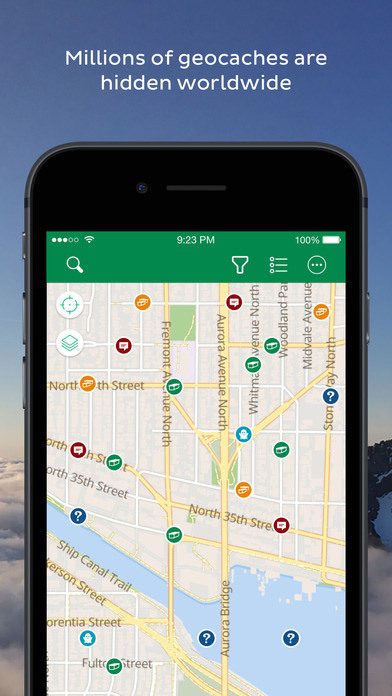 This app uses your GPS location to build the right path. 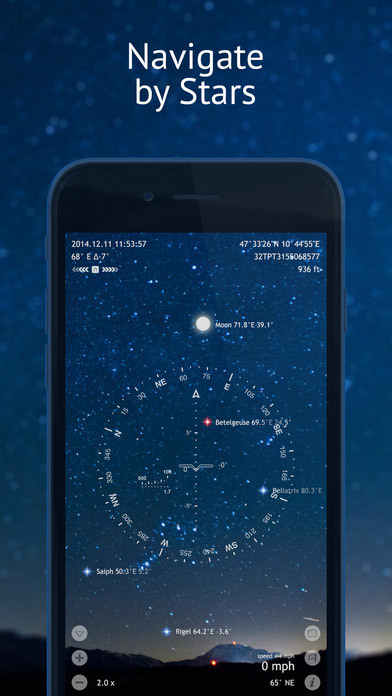 Unique feature: Use the built-in star guide to navigate by the night sky map and find the nearest trail. 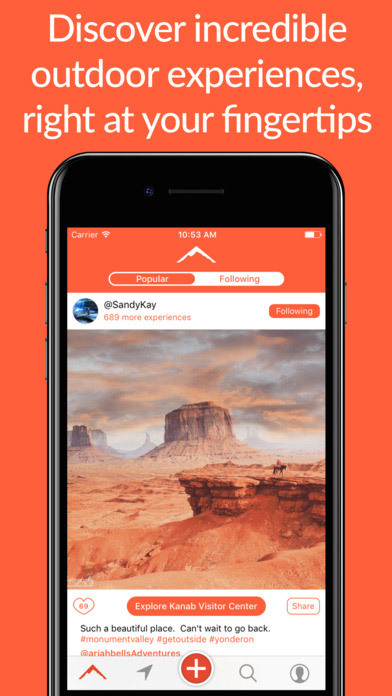 We’re happy to introduce you to an innovative app for navigation. 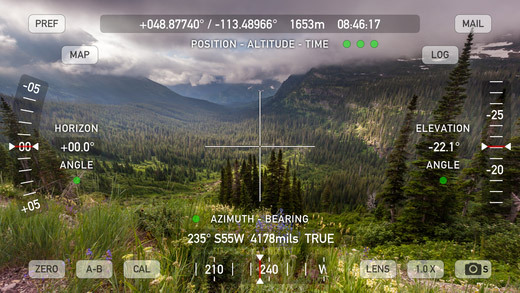 Theodolite has all the tools you need to find hiking trails fast: a navigation calculator, an inclinometer, a compass, and many others. Theodolite is essential to take with you on any adventure. 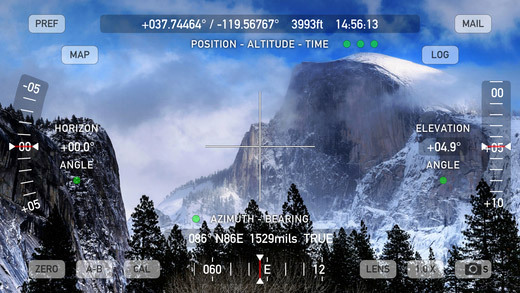 This outdoor navigation app is especially useful for skiing, yachting, and kayaking. You can also use the built-in monocular with two modes: 2x and 4x zoom. 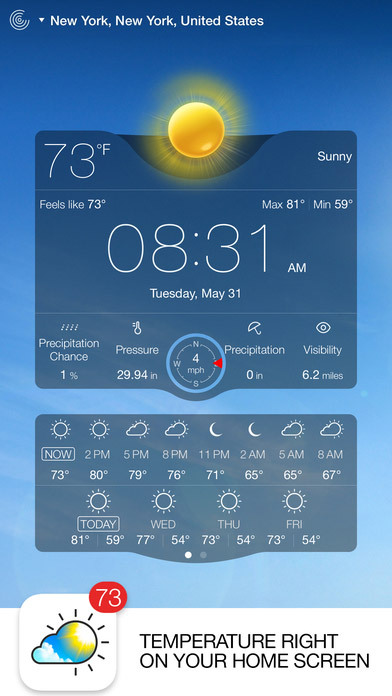 Unique feature: If you want to share your location, just take a screenshot and send it by email with all the indicators on it. 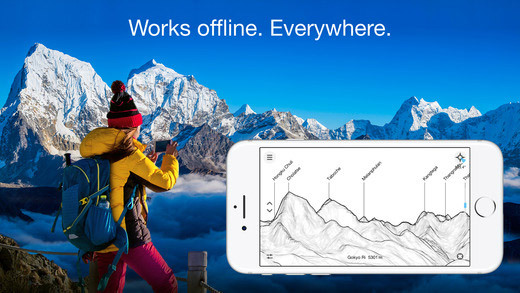 Do you often try to google “mountain climbing near me” but fail because of a slow internet connection? 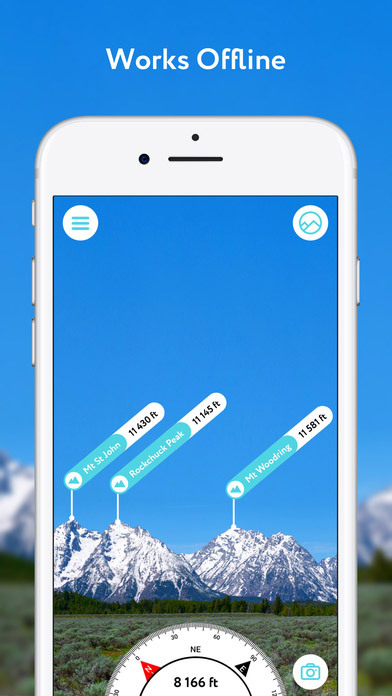 If so, we have a great mountain peak app for you. 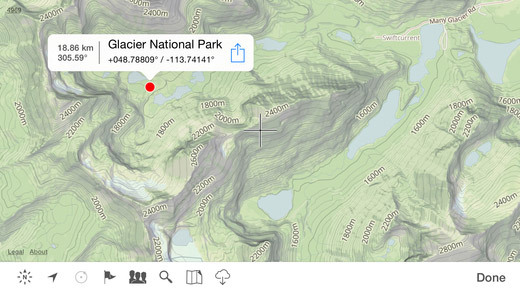 PeakVisor has an enormous database of mountains with information about peaks all around the world. 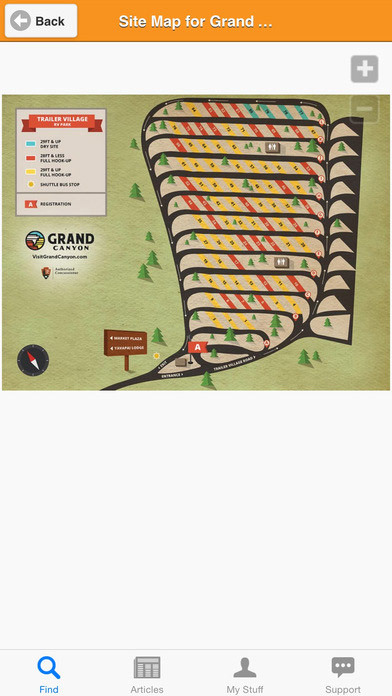 Its main function is its 3D mountain panorama. Just point your camera at the horizon to get the names and elevations of all the surrounding peaks. 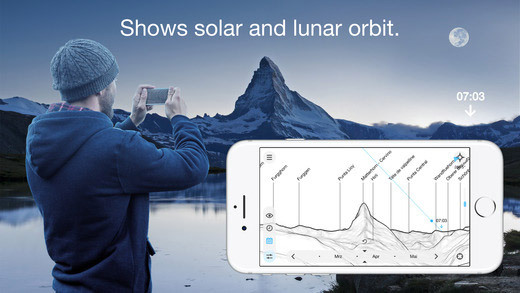 Unique feature: In addition to GPS navigation, this app has a Sun Trail function. You will always know how to place a compass. 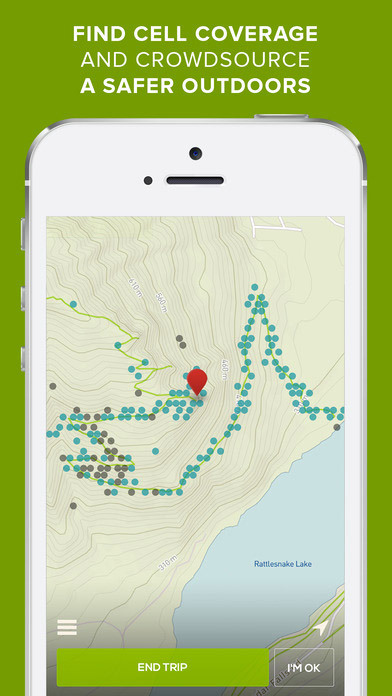 This is another useful tool to find mountain trails. It can distinguish more than 300,000 peak names. 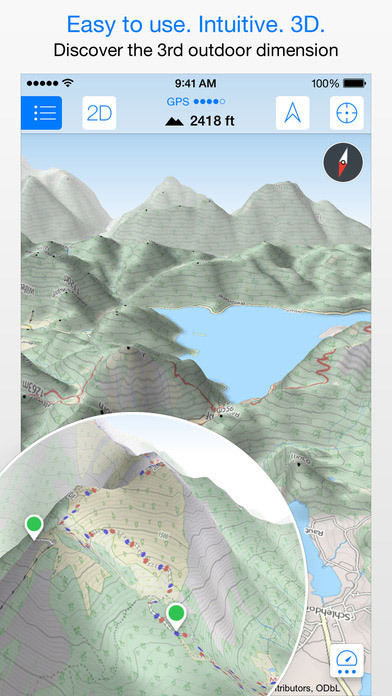 With PeakFinder, you can easily explore any mountain within a 300-kilometer range. 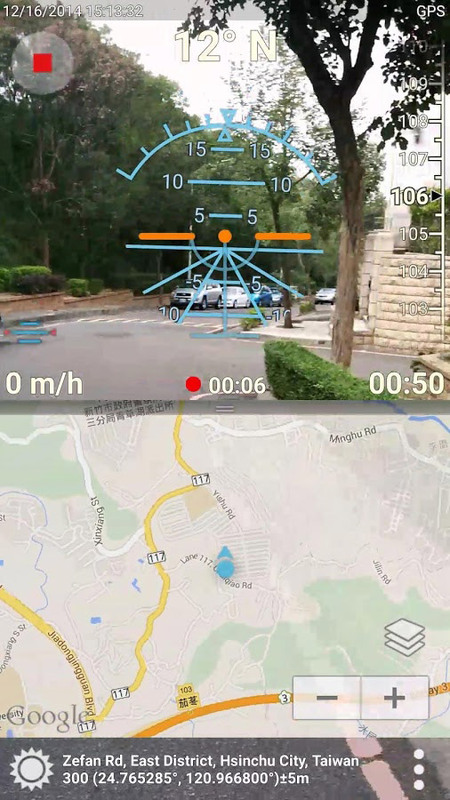 For better navigation, the app has a list of tools including a compass and motion sensors. 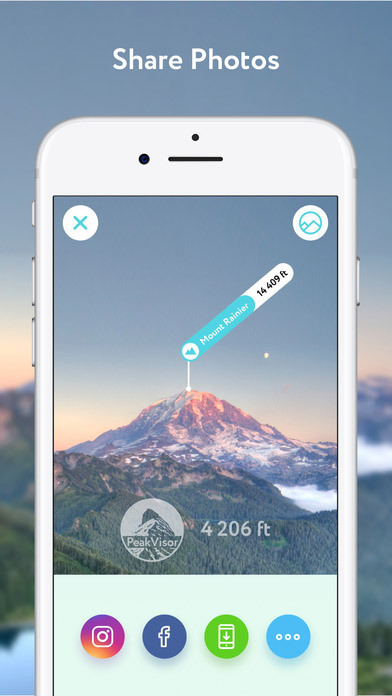 Unique feature: Use the “Show Me” function of this mountaineering app to get visible peaks. 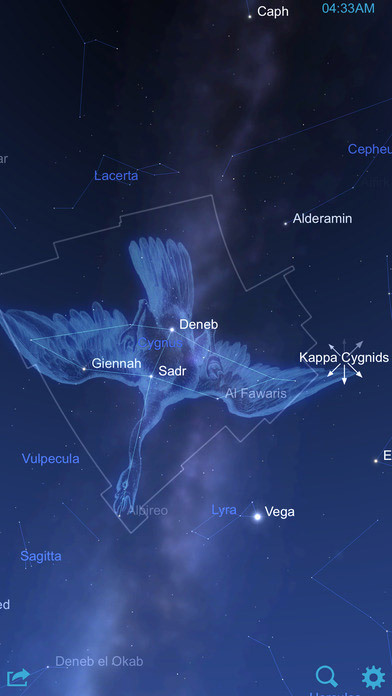 Used to navigating by the stars? 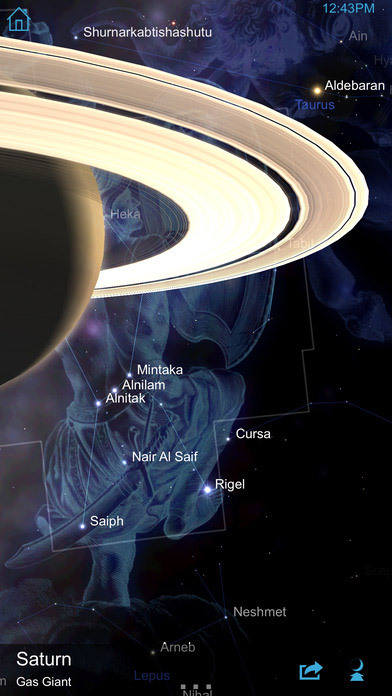 Star Chart will help you find your path on even the darkest nights. In the last versions of this app, the database contains more than 120,000 stars. 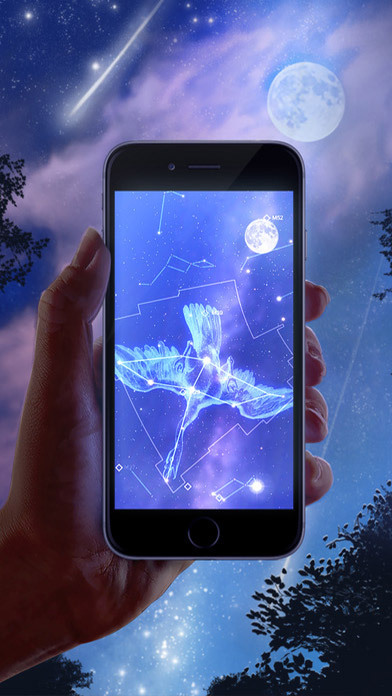 You can use finger gestures to zoom into any object — like a star, planet, or constellation. 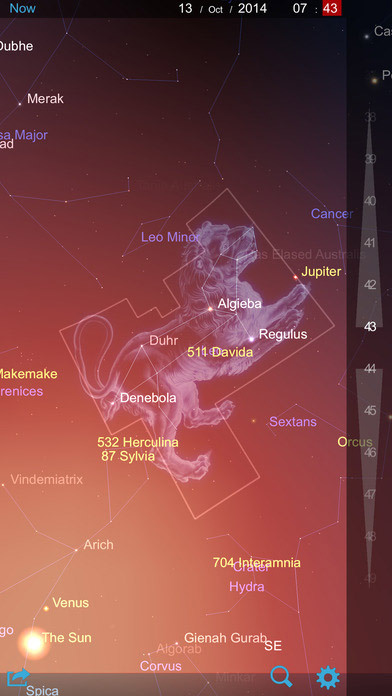 Star Chart has no trouble with the dynamic usage of a smartphone, which makes it a great app for an adventure. 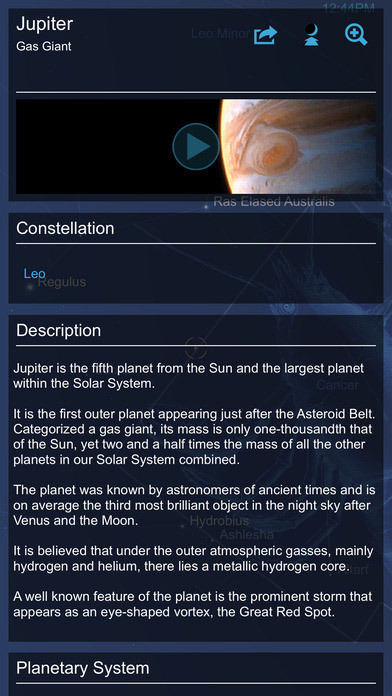 Unique feature: Star Chart is often updated with new stars and information. 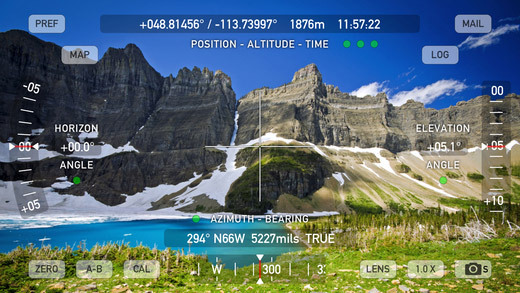 GPS trekking is important while traveling, but many of us still need a compass to navigate. 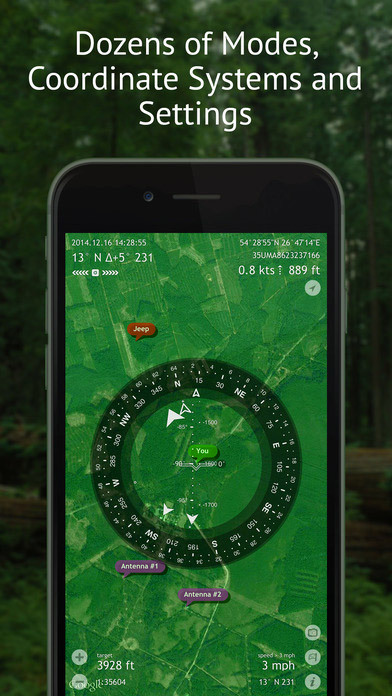 This compass uses GPS technology to show your real-time location. 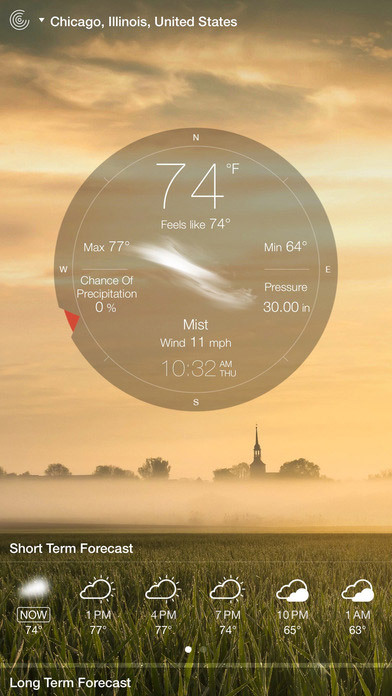 It has a lot of indicators like degrees, heading, speed, and so on. 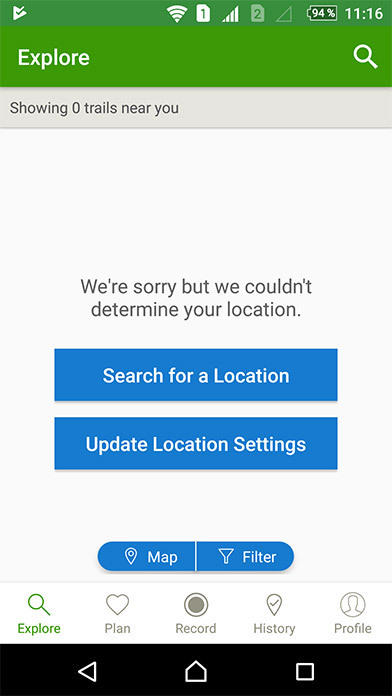 You can always share your location with friends or relatives by sending them a screenshot. 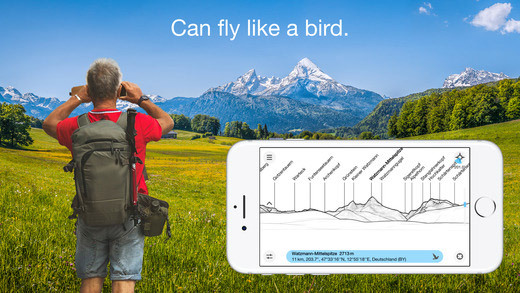 Unique feature: 3D Compass Plus is one of the most accurate hiking trekking apps. 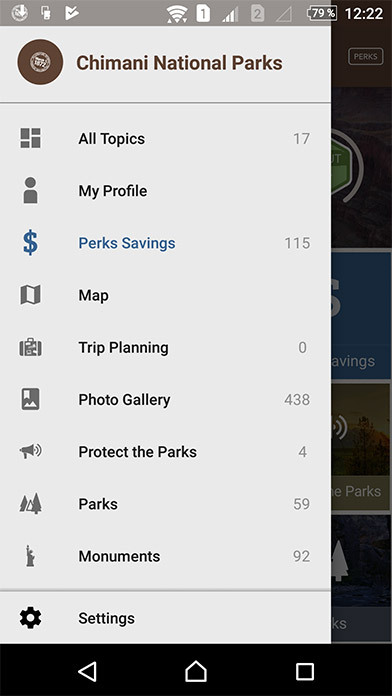 Have you downloaded all the necessary apps for your trip? Just have the right apps in your smartphone! Don’t get us wrong — we believe that travelers should learn how to stop bleeding, fix broken bones, and administer the right medicines while hiking. 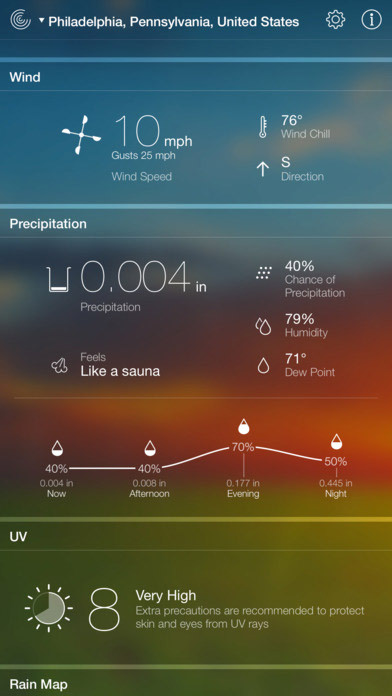 But still, this is an app that should be installed on every smartphone. Because it gives the best outdoor help in any kind of accident! First Aid will be useful not only during cycling and camping; you can use it in case of any emergency. 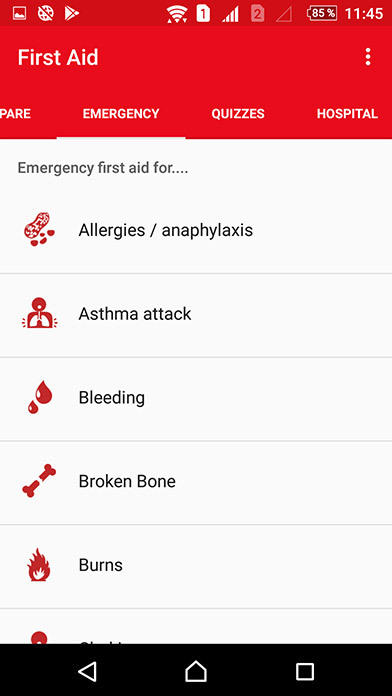 Unique feature: All first aid guides are available offline. 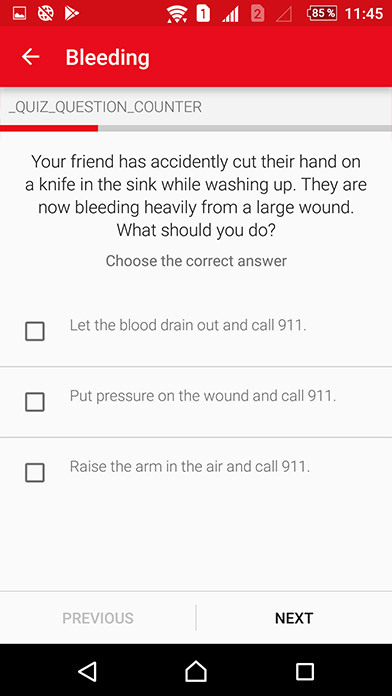 Plus, you can call 911 from the app with just one click. 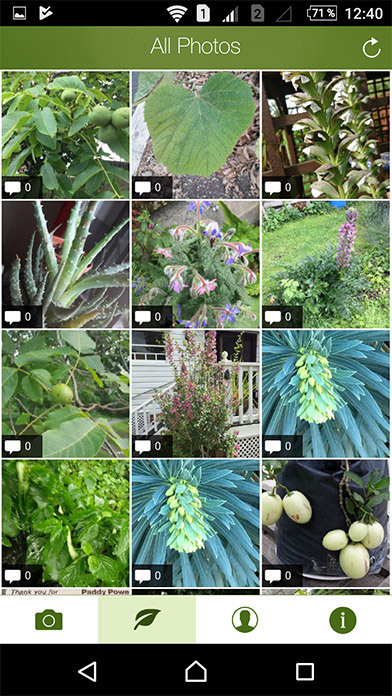 A lot of hiking reviews contain photos of unknown plants, fruits, and berries. Some people even try to eat them and then end up finishing their adventure in the hospital. So how can you make sure the berries you find are edible? Or that a certain plant can be used to treat wounds? 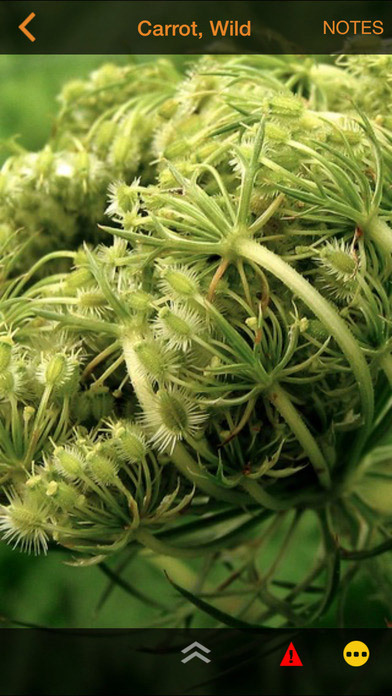 Wild Edibles Forage is a great helper when you’re searching for plants on local nature trails. 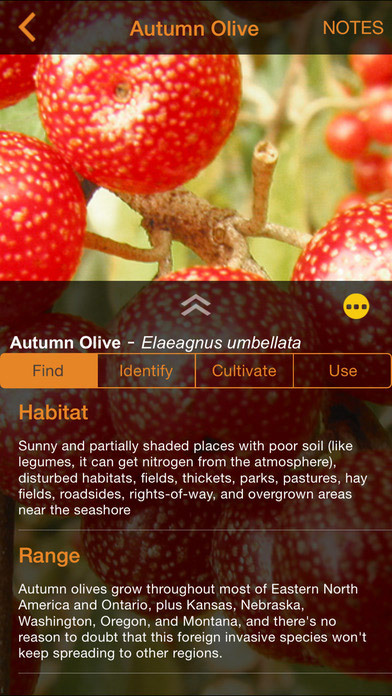 Use this app to identify any wild herb or fruit. 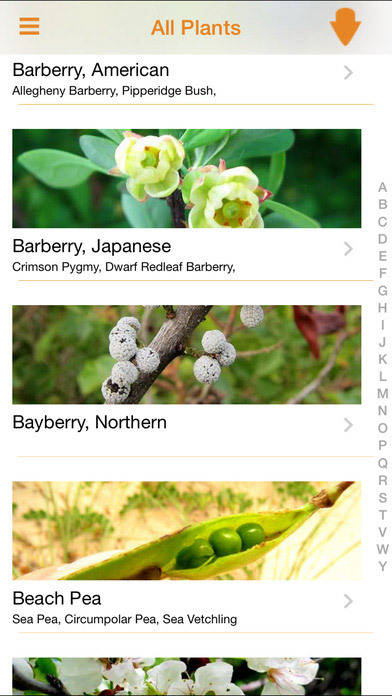 Unique feature: Every plant has up to 8 images to make identification easy. 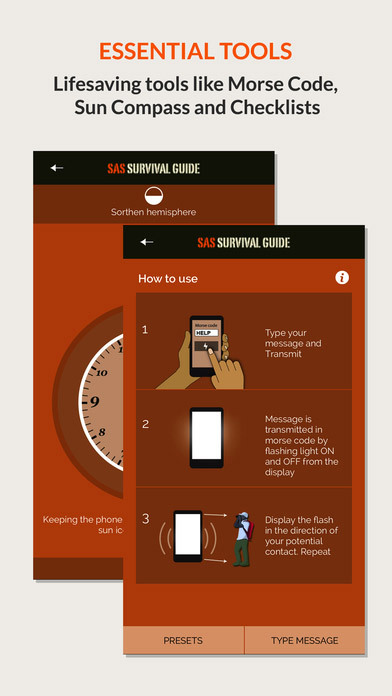 Every camper needs a survival guide to use even in airplane mode. 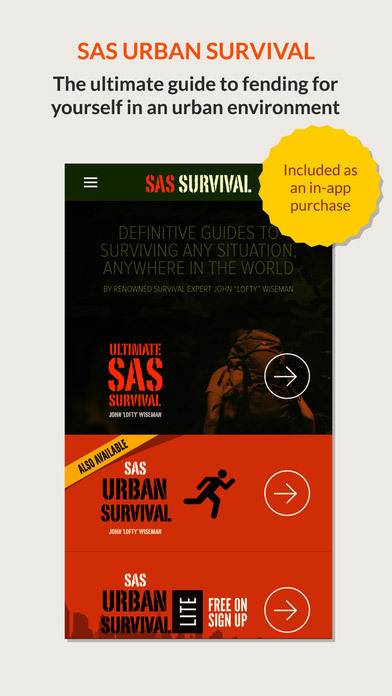 SAS Survival Guide was created by a former soldier named John Wiseman. 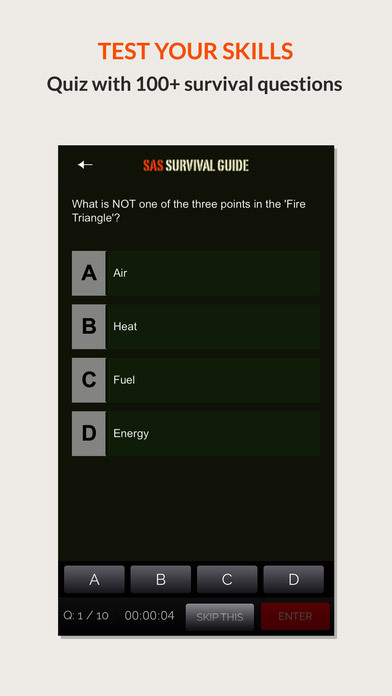 It consists of an informative book with instructions and tutorials, quizzes to check your knowledge, a sun compass, checklists, and so on. 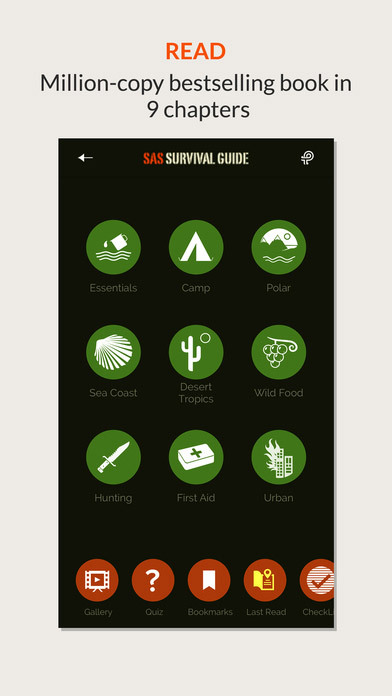 The book includes 9 chapters covering topics like camping, hunting, first aid, and wild food. Unique feature: Use the Morse Code tool to record any message you want to transmit. Then, your smartphone will flash it with Morse code. Interested in climbing or fishing? 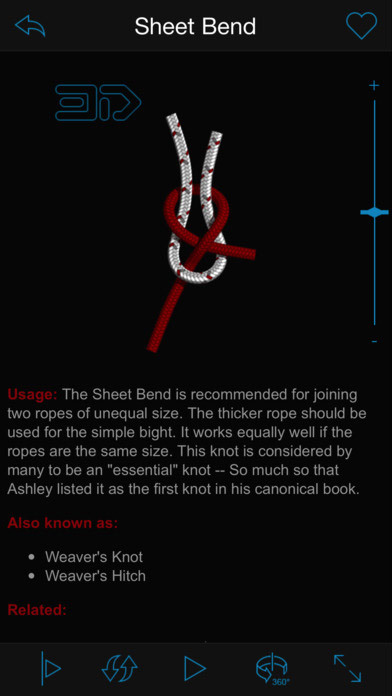 Then you definitely need Knots 3D for your smartphone. 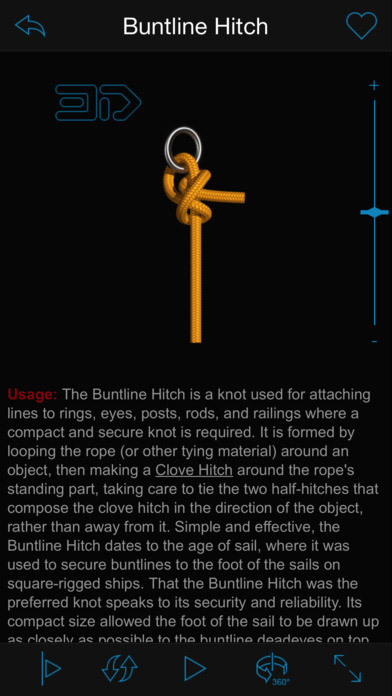 This app contains tutorials for 121 knots in many categories, including popular and rare; difficult and so easy even a boy scout can learn; and knots for firefighters, soldiers, hunters, and lumberjacks. 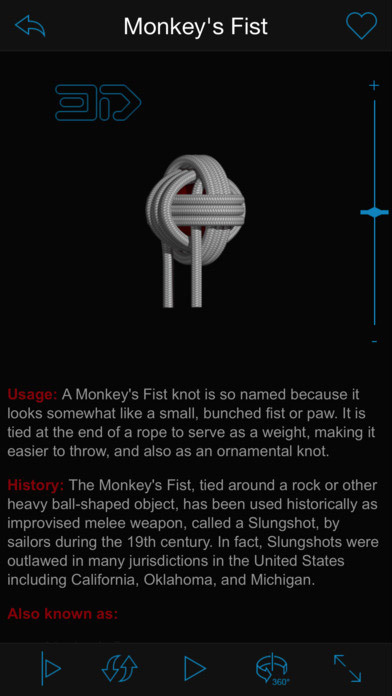 Unique feature: You can rotate any knot in the app to take a closer look. 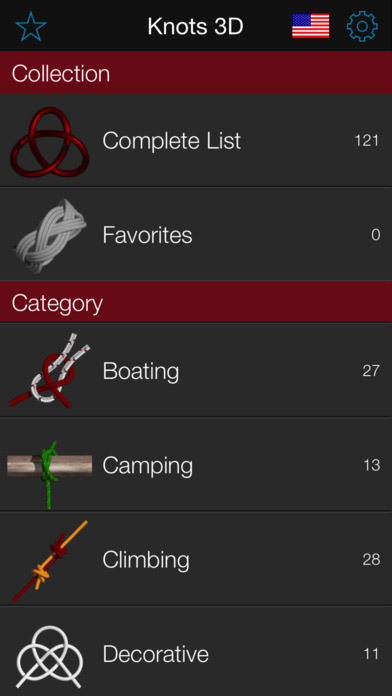 The 3D viewing capability makes Knots 3D a top-rated app. Some of us travel alone, but for others — walking routes are nothing without their loyal companions. Dogs love hiking as much as we do. 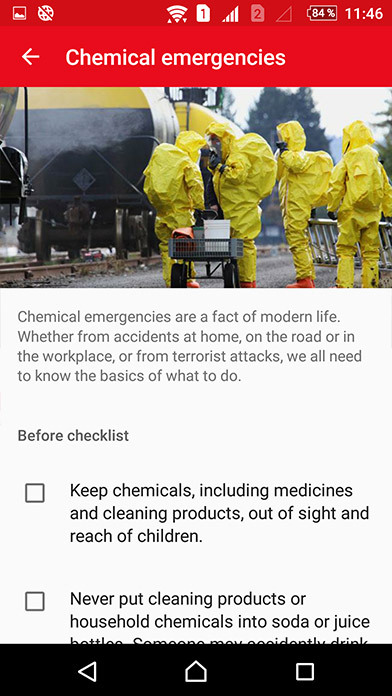 But it’s important to guarantee their safety when preparing for outdoor activities. 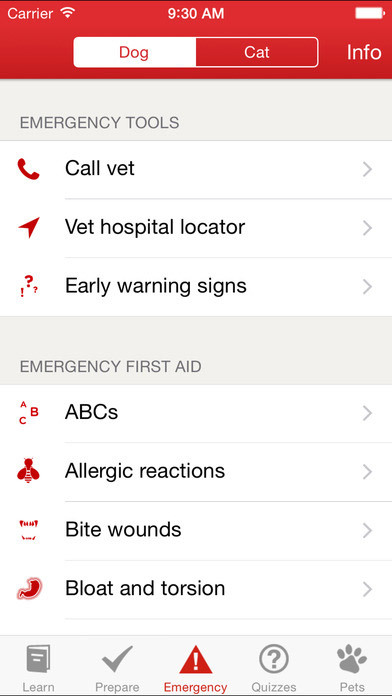 Pet First Aid is a fantastic free guide to help your pet in any accident. It has two sections: cats and dogs. 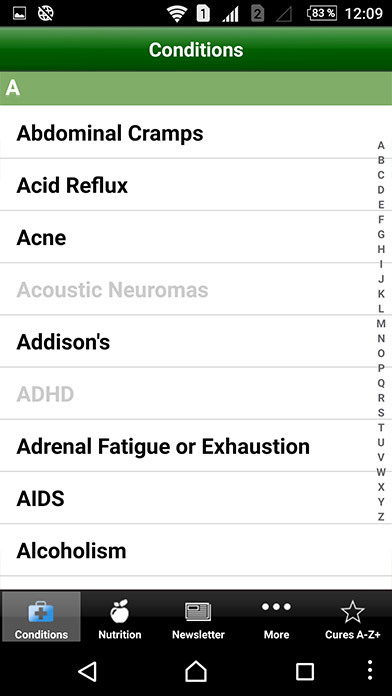 The accidents are organized into categories so you can navigate them easily. 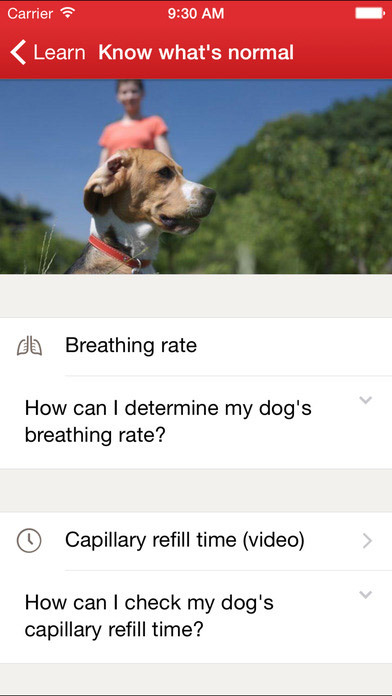 Unique feature: Set veterinary appointments for your pets to have them all in one place. 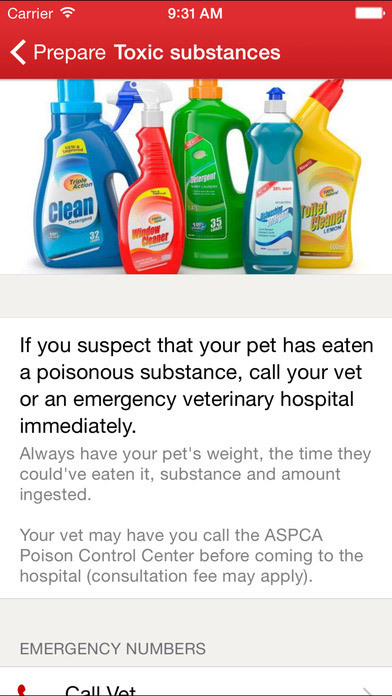 You can also contact a vet any time you need to. 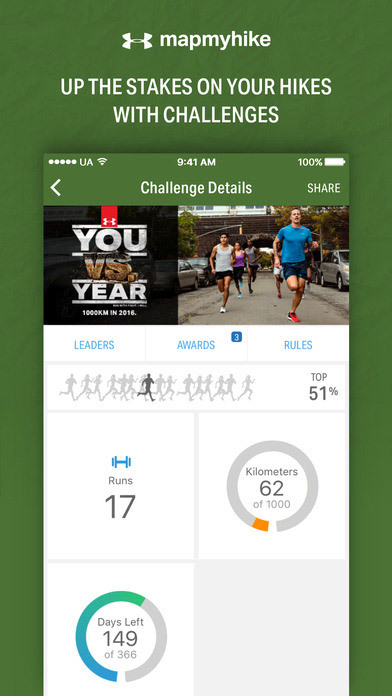 Even with exclusive hike software or apps, you still can find yourself in trouble. Sometimes, you need to find shelter from a blizzard in just minutes. Or hide in a tent because of hot weather. 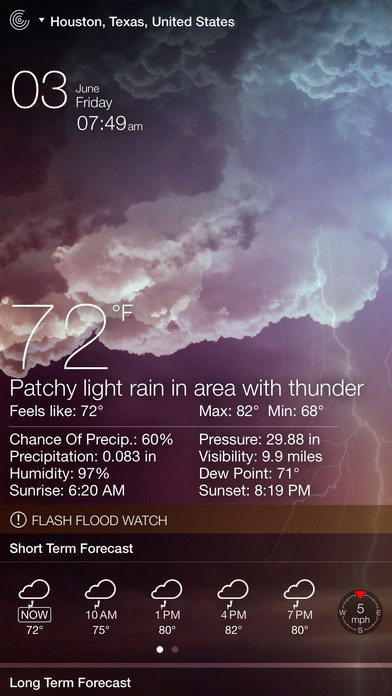 To escape such situations, use Weather Live! It gives accurate data for every hour in all four corners of the country. 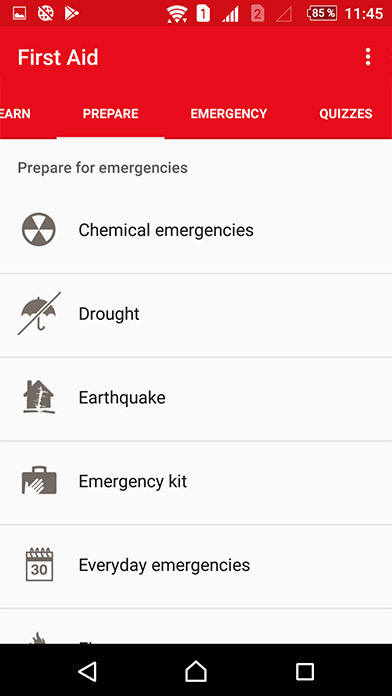 In case of bad weather, you’ll get warnings immediately. 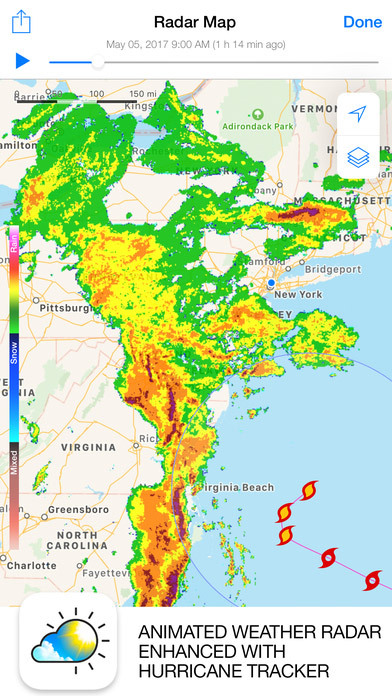 Unique feature: This trekking app will even warn you about upcoming hurricanes, which is important for many areas in the US. 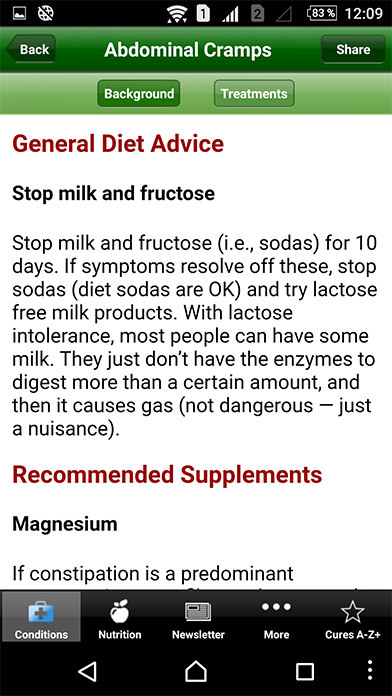 The latest version of Cures A-Z is an incredible guide to help you with any disease. 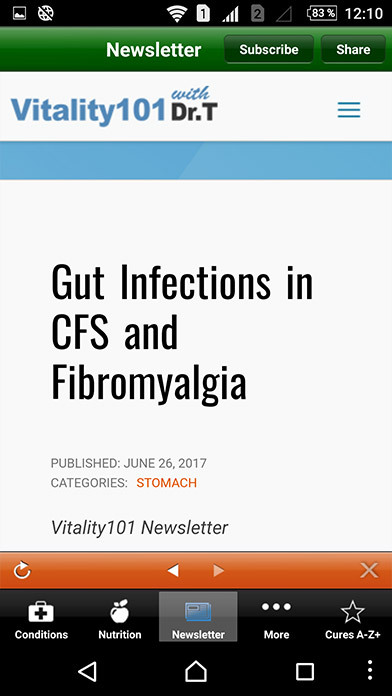 It contains information about hundreds of conditions to help you find the right treatments. 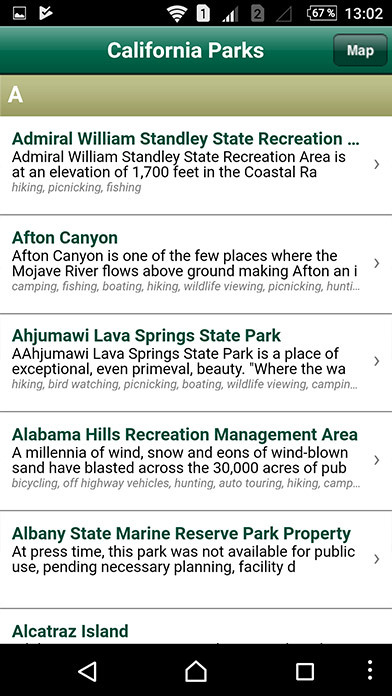 When searching for local places to hike, install this app to protect yourself from injuries and illness. 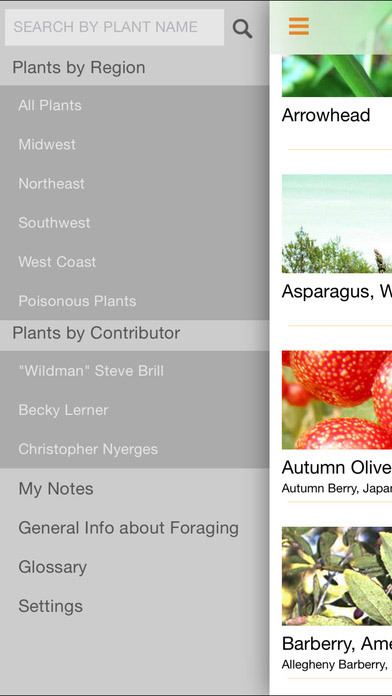 This hiking application also helps you find various herbs, describing their benefits and the places to find them. 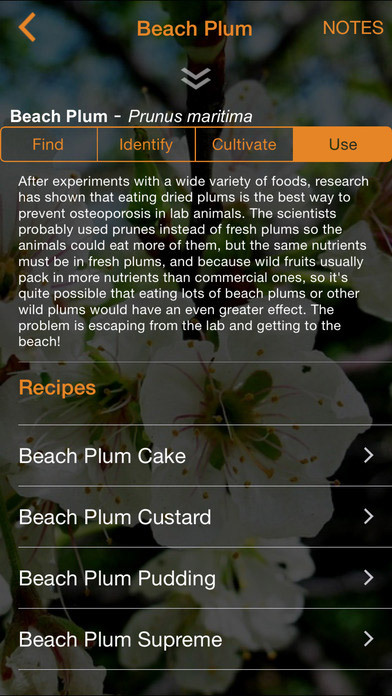 Unique feature: Cures A-Z includes a nutrition guide that may be useful while living in nature. 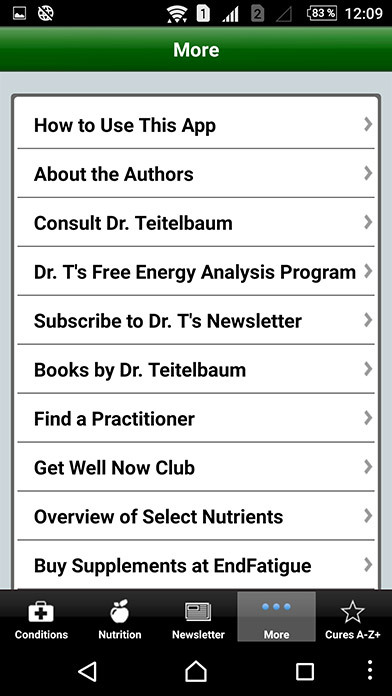 It gives information about vitamins and minerals and the various foods from which you can get them. 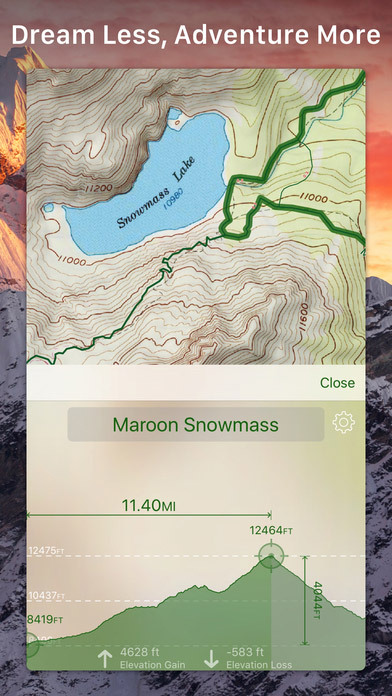 We’ve listed a lot of important apps for skiing, walking, and navigating; gathered first aid guides and emergency tips; and shared a couple of top-rated handheld GPS apps. But outdoor activities don’t always consist of struggles. We like them because they’re fun and full of new experiences. 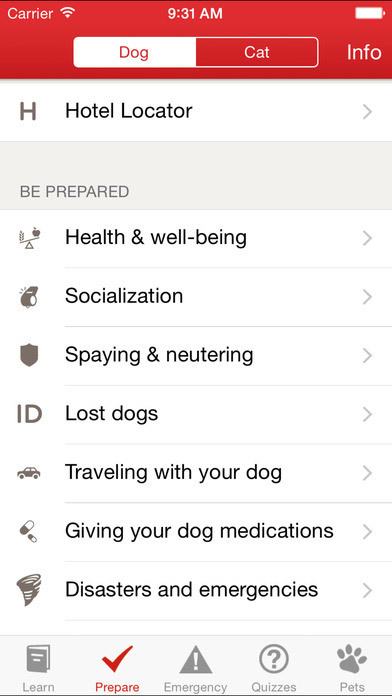 That’s why we’ve prepared this category of apps. From this section, you’ll get to know top hike messengers to stay in contact with your friends, interesting guides about wild birds and trees, and even a game that motivates hikers to investigate new trails. 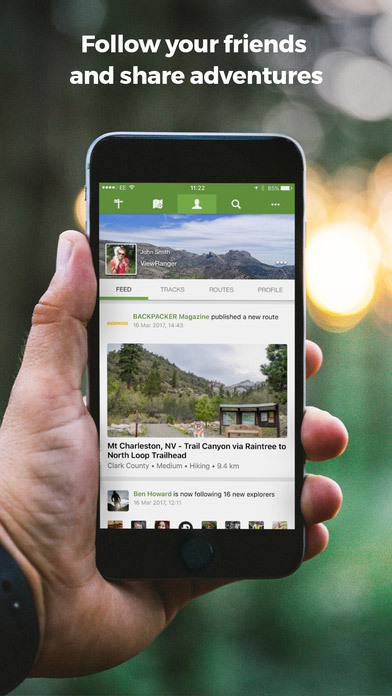 Have you ever wanted a hike chat to share outdoor-related news with those who are interested? If the answer is yes, then this is your lucky day. 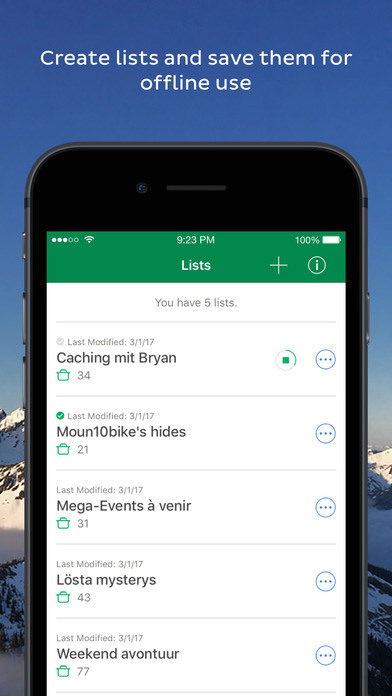 Unique feature: Update this app for hiking with your stories and experiences, and make lists of your favorite ones. 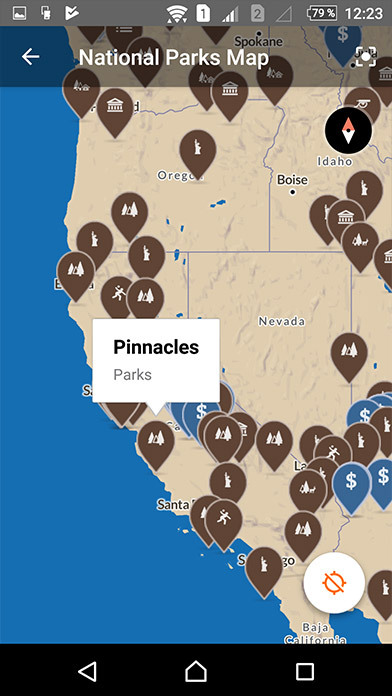 There are a lot of national park fans among our readers. 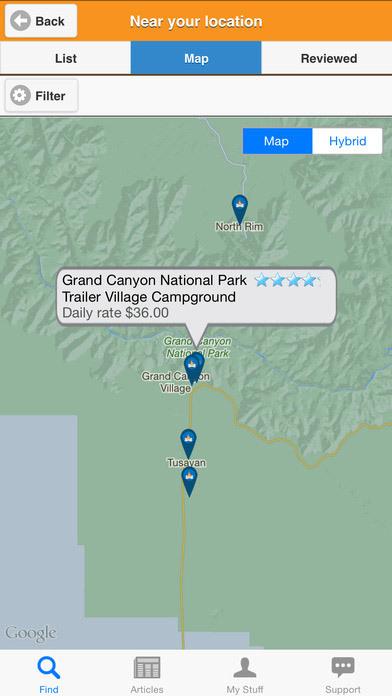 The best trail GPS devices can’t show you all the information that National Parks by Chimani can. 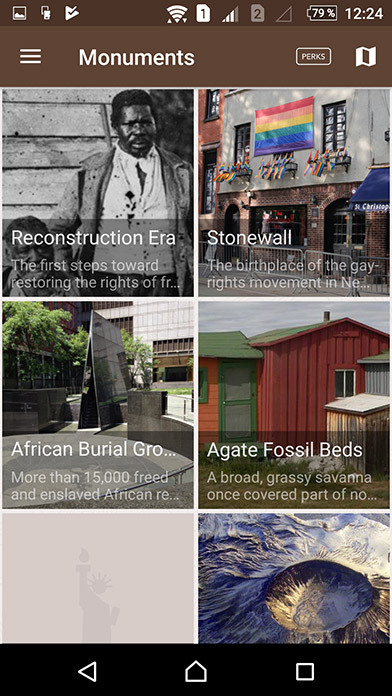 This app includes information on 400+ parks, including their history, activities, events, places of interest, news, and more. All of this is available offline! Unique feature: To motivate you to try new hiking trails, Chimani gives you badges for visiting new national parks. 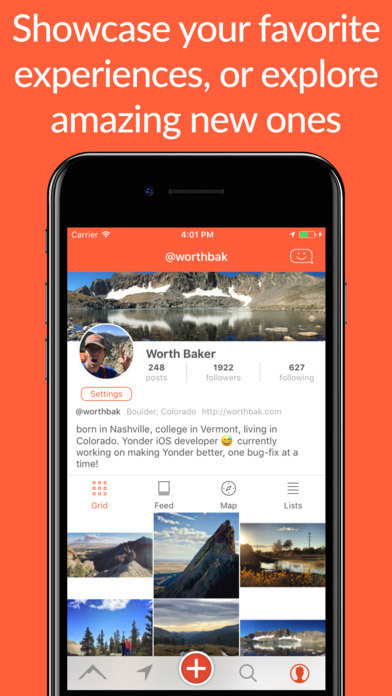 Searching for the best backpacking apps? 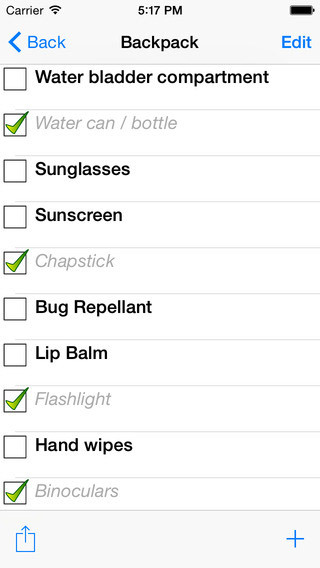 Backpacking Checklist will help you prepare all the items for your trip. It’s easy to create new lists and use old ones to gather the things you need. 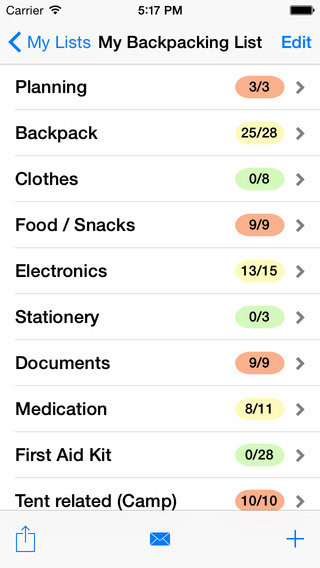 Add new categories and items, hide the items you’ve packed, and edit and delete items. You can also multiply different parts of the list in case you decide to spend 3 days outdoors instead of 1. 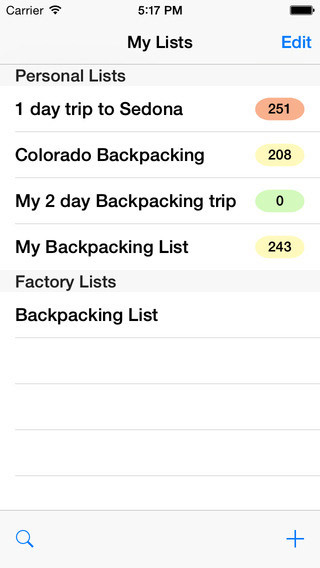 Unique feature: Use red, green, and yellow colors to organize your backpacking lists. 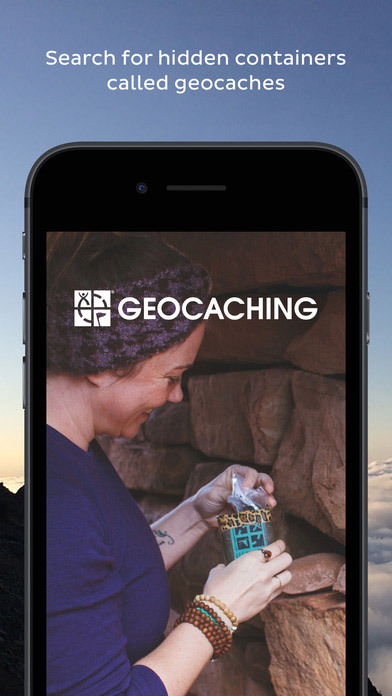 For those who can’t decide which destination to choose — use Geocaching! 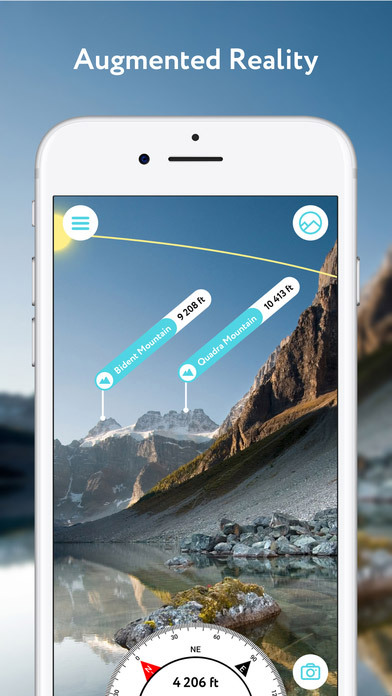 With this unique game, the primary goal is to motivate campers and hikers to spend time outdoors. In this game, you’re supposed to search for boxes hidden outside. To find them (and win), you should follow the given instructions. 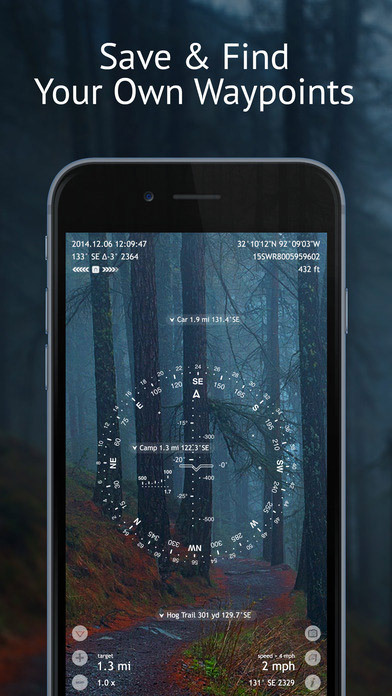 Isn’t this the best hunting app? 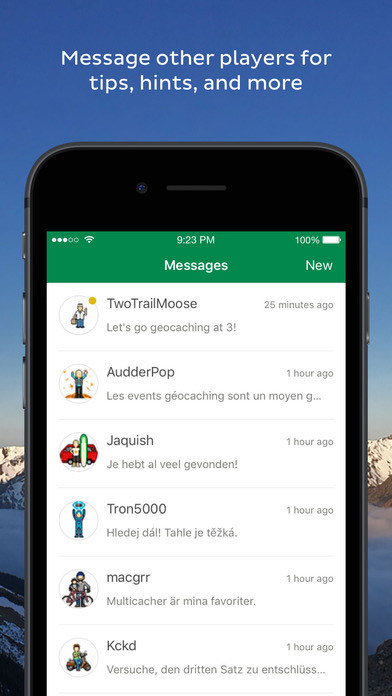 Unique feature: Communicate with other geocachers to get tips and recommendations. Meet up to make the experience even more fun. Interested in plants but not a professional? 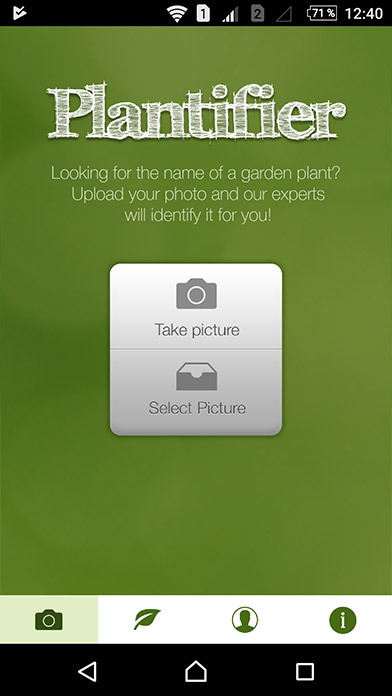 Download Plantifier. 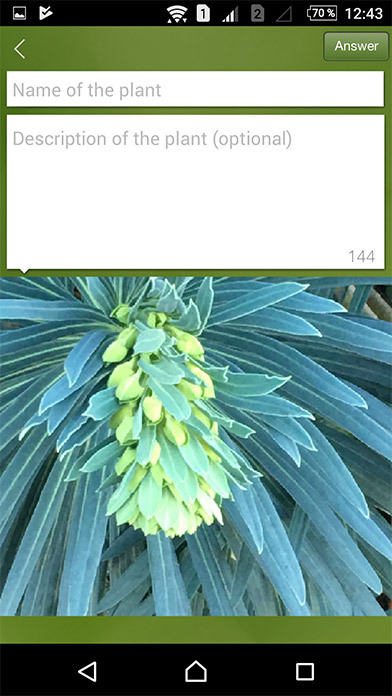 You upload a photo of a flower or plant and then wait for specialists to comment on your image. 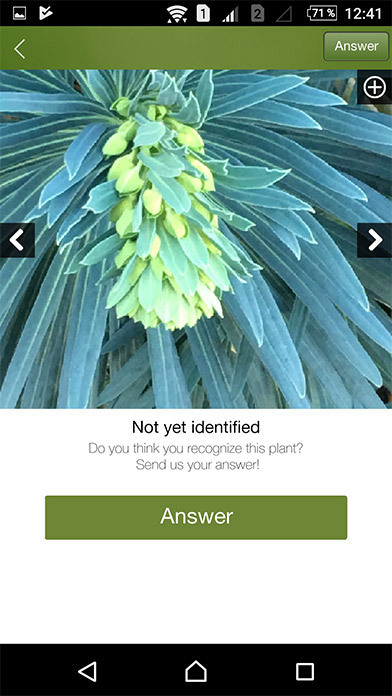 If you can identify someone else’s picture, help them out by typing the name of the plant. 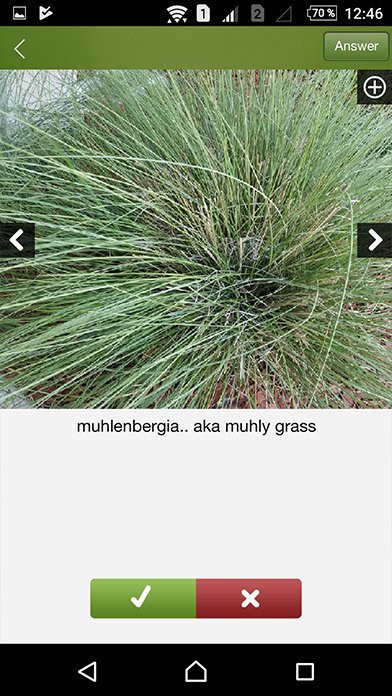 Unique feature: When someone suggests a name for a plant, you and other users can vote on whether they’re right. 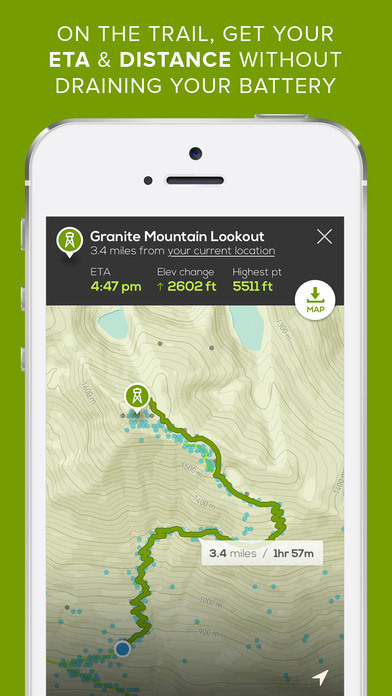 Downloading free apps for hiking can turn into an unusual hobby. 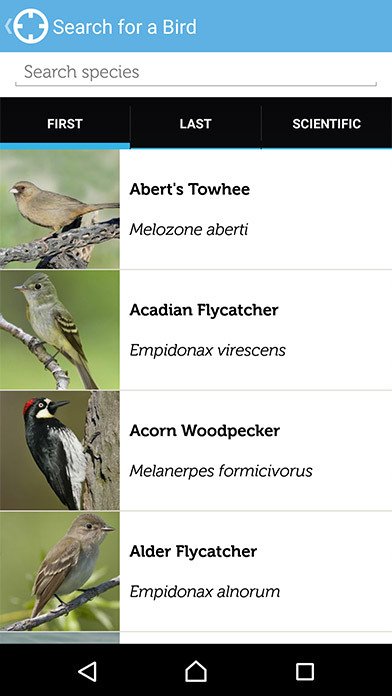 For example, with Audubon Bird Guide, you can walk in the shoes of an ornithologist — identifying bird sounds, feathers, and behavior. 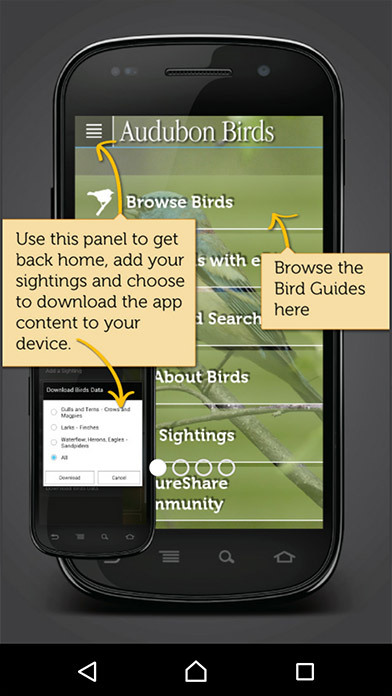 This is a good app for hiking because of its large database that includes 808 bird species, more than 3,000 high-quality images, and 8 hours of bird sounds. 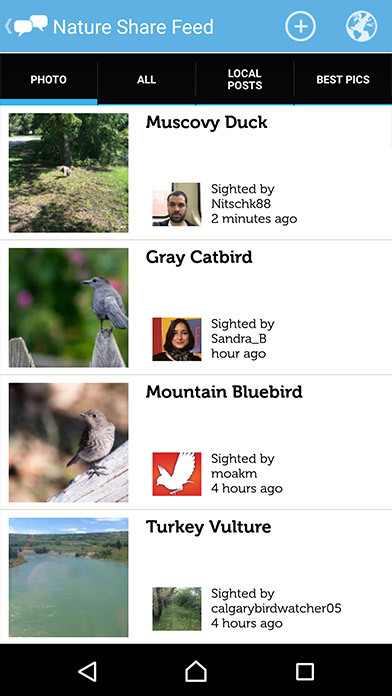 Unique feature: Save the locations of birds you’ve spotted and make lists of the habitats of local birds. Travelers often need a place to stay for a night. But how can you find one easily? 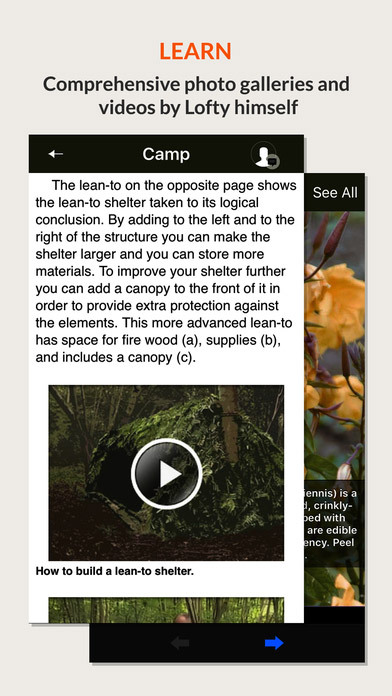 This hiking app for Android and iOS will help you navigate many campgrounds. 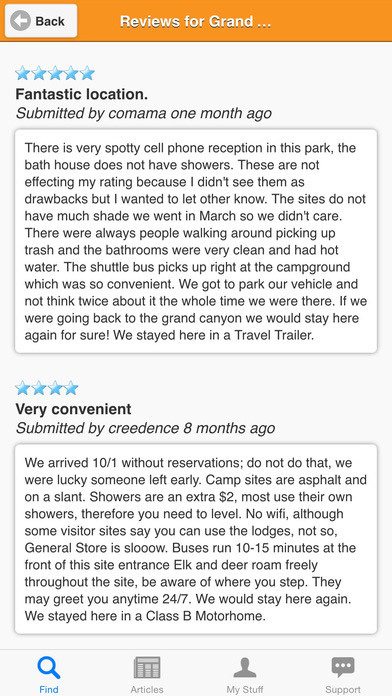 You can also leave reviews about the quality of service and read the ones left by others. 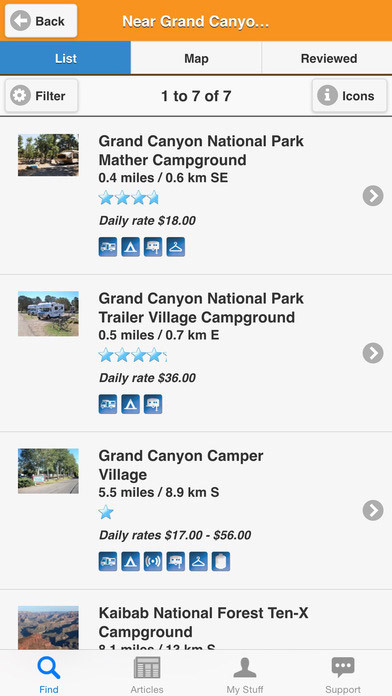 Unique feature: With this top camping app, you can sort campgrounds by activities, distance, and amenities; find dog- or kid-friendly places; and search where to use camping club discounts. Sometimes, you don’t have time to search through the results of “hikes near me” in Google. Decisions must be fast but also well-considered. In such situations, ParkFinder shines by finding you the best solutions. 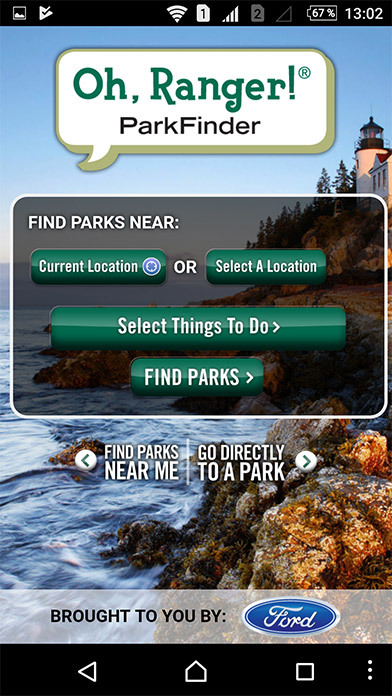 It contains information on parks, their directions and coordinates, phone numbers you may need on your journey, places of interest, links to various events, and so on. 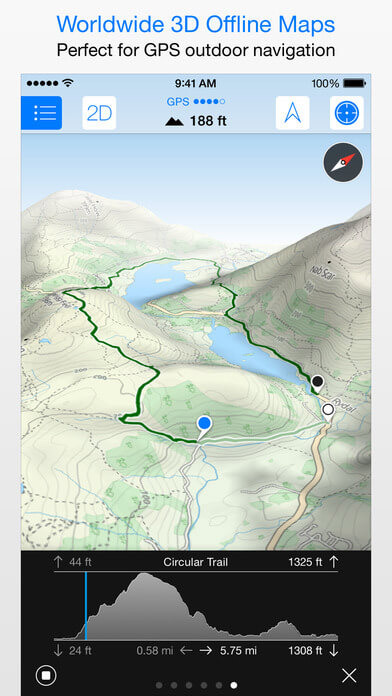 Unique feature: ParkFinder has 20 categories so that you can choose the best hiking routes for you or your family. 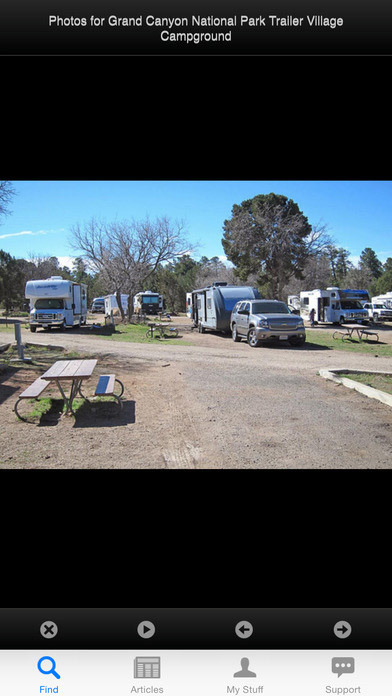 Along with regular activities, you can choose bird watching, horseback riding, or RVing. 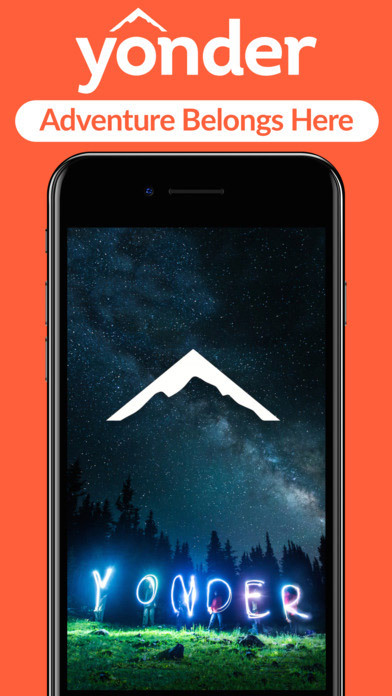 So there you have it — these were the top hiking apps of 2017, presented along with our thorough reviews of their best features. Hike&Cycle carefully chose the most beneficial of these apps and presented them to you in this article. 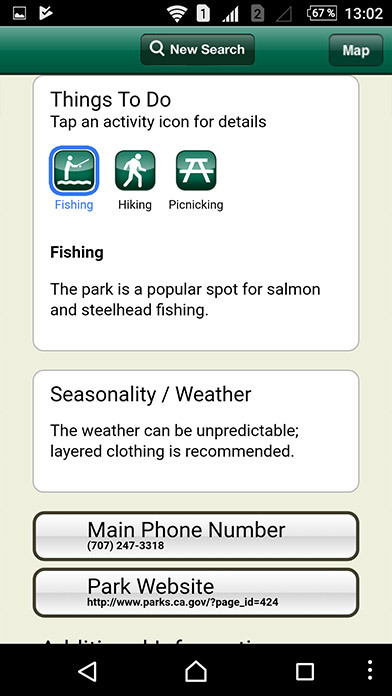 Alternatively, you can check out this fantastic list of apps for true outdoors lovers from SkyAboveUs. Remember to update your smartphone with some of these useful applications before your next trip. 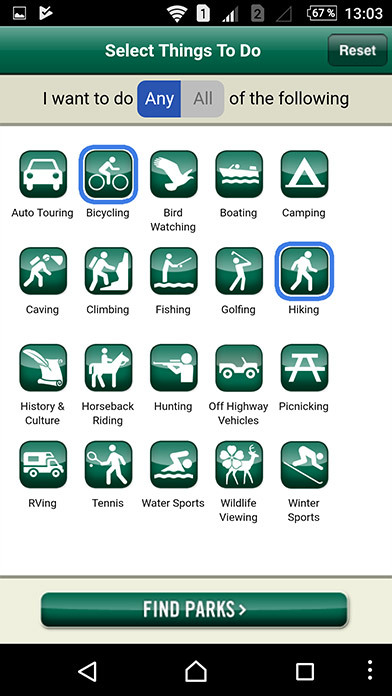 Of course, we advise you to surf the App Store and the Google Play Store yourself to find the newest apps for hiking. But if you don’t have a lot of time, just leave it to us! What is your favorite app? 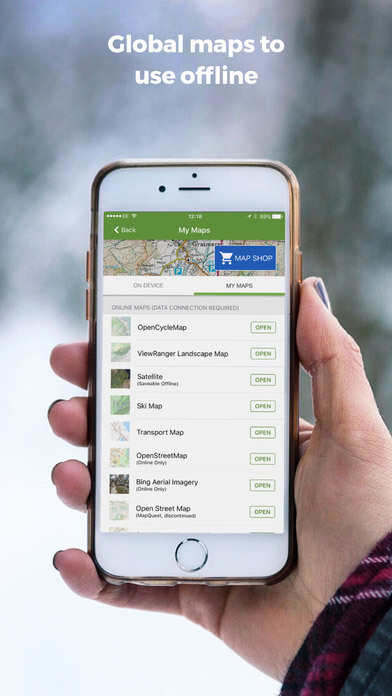 Do you use offline maps often? 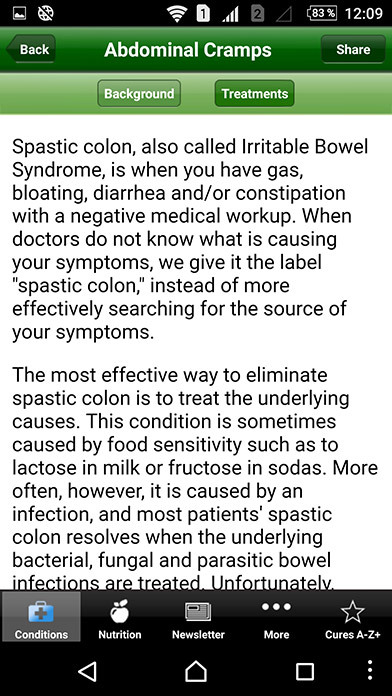 Leave a comment to share your experiences!